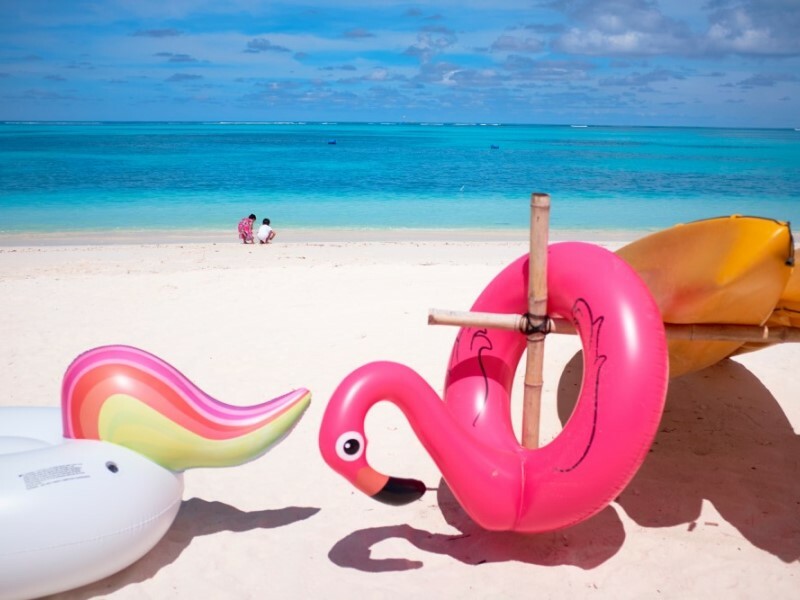 Buying awesome gifts for teenagers might not be the easiest thing to do, however, when that teen is into traveling, there’s a whole new world opening up. We’ve selected the best travel gifts for teens that will spark their wanderlust! 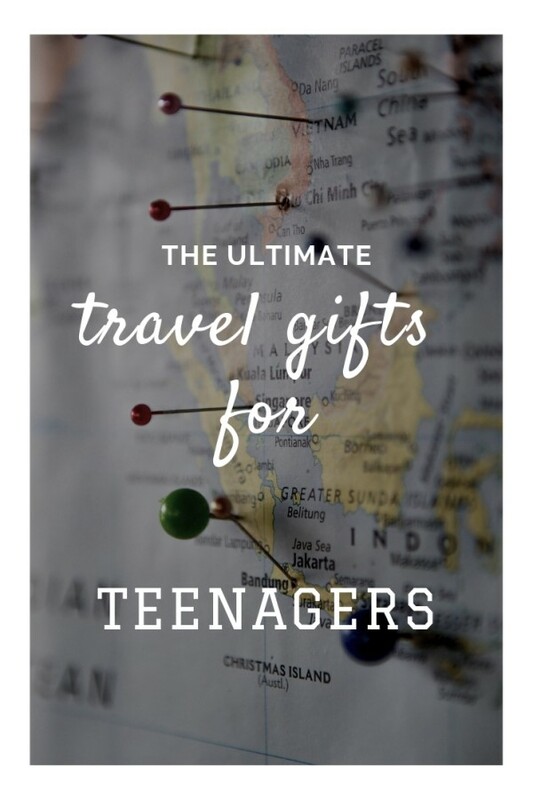 If you are searching the web for Christmas gift ideas for teens, scroll down and find the ultimate list of cool travel gifts. A passport cover is a perfect present for a teenager who loves to travel. It looks great while it’s still practical as it offers protection for your most important document. Fuel their wanderlust and let the adventure begin! This is the most popular item on this list! Small travel gifts are perfect presents for people who travel, especially when they travel carry-on only. A lens kit for your smartphone is small and might be just one of the coolest gifts for traveling teens! You just clip them onto the smartphone and you’re able to snap pictures with a macro or wide-angle lens. Searching for fun travel gifts? Adding a splash of personality to your luggage is not only entertaining but comes in useful as well when searching for your suitcase. Get into an instant summer mood with these funky tags. A travel journal is a great way to remember all the cool stuff and adventures from a trip. It helps improve writing skills and documenting experiences. A world map scratch poster might not make it to the list of most unique travel gifts, but it still looks fantastic in a teenagers bedroom. It’s a great way to keep track of the places they’ve already visited and to fuel dreams about new adventures. Whether you are searching for awesome travel gifts or simply some cool tech gifts for teens, this instant photo printer will apply to all. Sharing your holiday pictures on social media is nice, but instantly printing your snapshots brings a whole new meaning to fun! This device is about the size of a smartphone and is a great way to make everlasting memories with new friends. No better way to pass the time while waiting for a plane or bus than by coloring. Even when they’ve just outgrown childhood, a coloring book is way too much fun to leave at home. A perfect gift for young travelers! A canvas bag is a great gift for a teenager, whether they use it at home (for school!) or while traveling. The possibilities are endless, so have fun choosing the bag with that perfect travel quote. What better way to pass the time than with a travel game. Especially when it’s as educational as it is entertaining, gifting a travel game to a teenager will make for a successful present! This is one of our most popular travel accessories for teens! Here at Travel Gear for Kids our love for traveling goes hand in hand with a sustainable way of living. Buying a couple of plastic bottles a day doesn’t line up with that. So bring some awareness to young minds and buy your teenager a collapsible water bottle that they can take everywhere! An added bonus if you buy this bottle: it will help rescue dolphins too! A toiletry bag is a need when traveling, but hey, nobody said it couldn’t look cute! Headphones make for a great gift for a teenager especially one that loves traveling. Every teen needs a moment for themselves, whether that’s passing the time with a movie or just chilling with some music. Packing cubes are such a handy tool when packing a suitcase or backpack! They keep your clothes and accessories organised while they double as compression bags and thus give you more room to bring back souvenirs. We all would like to get some sleep when traveling on a plane, bus or train and teenagers are no different. Gift them a good night of sleep by giving them a comfy neck pillow. TIP: Read more on travel pillows in this post. Electronics are an important part of modern life, especially for teenagers and travelers. You can’t go wrong by buying a fancy cover for their tablet. This headband also features as a scarf or helmet liner and is stretchable and dries quickly. It is the perfect companion on many occasions, whether your teen likes hiking, fishing, yoga, extreme sports or just partying. Available in an abundance of colors, each package consists of 6 different pieces. What teenager doesn’t need an adapter to charge their electronic devices? This one has a great combination of USB sloths in combination with a universal socket that can be used in over 150 countries. When traveling, you sure need a backpack. But this trendy backpack serves multi purposes: it can be used for travel, but they can take it to school or spare time activities as well. It’s available in a couple of wonderful colors! A deck of playing cards is a basic travel item, but no need for a boring one. Spice up your teenager’s music knowledge while they play a game and travel the world. We all know it: kids can be messy and that doesn’t change when traveling – quite the opposite! At home, you probably have the luxury of an actual baby bath on top of a bathtub and/or shower. But in general, you won’t have that while traveling. How are you going to get your little one clean? 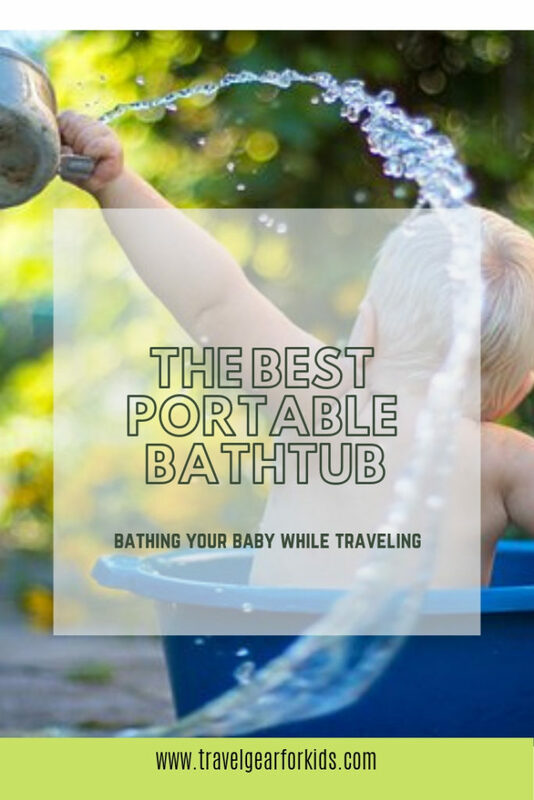 Read on to find our information guide to bathing a baby while traveling and a comparison chart to find the best travel baby bath for your family. How do I bath my baby on a trip? Until what age do I use a travel baby bath? What type of travel tub do I need? IN THE TUB: in case your hotel room features a bathtub, it is possible to bath your baby in there. However, you might not always have enough room to kneel comfortably. An alternative might be to get in the tub with your little one. IN THE SINK/WITH A SPONGE: in case the sink is big enough, you can opt for bathing your baby over there. However, make sure to scrub it good really good first. Another option is to put your baby on a warm, flat surface (f.e. a thick towel) and use a sponge and the sink water to clean your baby. IN THE SHOWER: showering your baby might seem like the easiest option because you can always count on having a shower at your room and you don’t need to drag additional items. However, it is also the most dangerous way of bathing your baby! It is easy to slip or drop your kid. Always make sure to keep a tight hold and block the water from hitting your baby directly. WITH A SLING: if you are into babywearing or if you don’t want to drag along a portable babybath than this is a good option to bath your little one. The downside is that you have to get wet as well. You can shower together without the risk of a slipping baby. Using soap might get more difficult as the fabric covers most of your child’s body. TIP: If you’re interested in using a ring sling in the shower, take a look at our article on waterproof baby carriers. WITH A PORTABLE BABY BATH: Not feeling comfortable with any of the above options? A travel baby bathtub might be the perfect solution! Yes, you have to take it along with you (though an inflatable infant bathtub doesn’t take up that much space), but it makes traveling with a baby that much easier! Did you realize that a portable baby bathtub is right up your ally? Read on to find the best travel bath for your family! How long you are going to use an inflatable baby tub evidently depends entirely on yourself. Some people never use one, others invest immediately in an inflatable toddler tub to last a couple of years. Here at Travel Gear for Kids, we believe that those first 6 months are the hardest to cover without a portable baby tub. As long as your baby can’t sit independently, you’ll have the annoyances and dangers mentioned above. But even if your baby is capable of sitting, you’re not out of the clear yet. You still have to hold your baby in the shower or sit on your knees in a too small hotel bathroom. A collapsible baby bath can generally be used until around 3 years old. Which makes them an even better option if you’re planning to use an inflatable bathtub for toddlers as well. Whether you’re traveling by public transport, car or plane, you really don’t want to be carrying around an actual baby bath. They are not made to be transported and while not necessarily heavy they tend to be rather bulky. In fact, there are only 2 types of baby baths that are an actual option to add to your travel gear. Foldable baby baths: this kind of travel bathtub generally folds flat. That way, it will never be really tiny, but it’s more durable than the inflatable baby baths. Inflatable baby bathtubs: this kind of travel baby tub can be inflated either by an air pump or by mouth. Like most inflatable products, it takes up very little space when deflated. The biggest con is the possibility of air leaks, especially when dragging it around in a suitcase. The Stokke Flexi Bathtub is a lightweight foldable baby tub that is very suitable to add to your list of travel gear for kids. It weighs only 3.4 pounds (1.5 kg) and provides ergonomic and flexible support. The colored lines on the bottom are meant to prevent your child from slipping, but some parents mention that their babies have a hard time sitting because it’s a bit slippery. It was designed to save space and thus folds flat so you can store it easily and even put it in your suitcase (although it would take up a lot of space and it won’t fit in a carry-on of course!). This results in dimensions of 26″ x 9.4″ x 13.7″ (66 x 24 x 34.8 cm) when in use and 8″ x 9.4″ x 3.9″ (20.3 x 24 x 10 cm) when folded. A heat-sensitive rubber stopper makes it easy to drain the water. If you put the stopper under a corner it will be even easier. Many people choose to just dump the water because taking the stopper out and putting it back in is a bit of a hassle. The locking hinge holds the tub down when it’s folded, but might break after a while. The travel tub is very easy to clean. You don’t have to use this portable baby bath solely while traveling, it is perfect at home as well! Babies tend to outgrow their baby baths quickly but are still too small for that grown-up bathtub. That’s where the Stokke bath can come in. It’s the perfect size for an in-between baby tub and it fits perfectly in a standard bath. This foldable bathtub for baby is suitable from birth to 3 years, which makes it an excellent portable bathtub for toddlers too. However, when you use it for your newborn, you’ll need the newborn support, which isn’t foldable and thus not travel-friendly at all! Click here if you want to buy the Stokke Flexi Bath with newborn support in a bundle. Be aware that Stokke states it is suitable up until 4 years, but many parents say it is too small for their preschooler. Don’t forget it is only 26″ (66 cm) long, which is not big at all! A toddler won’t be able to swim in it, but because it is quite deep, it will still be a comfortable bath. The Stokke Flexi Baby is by far the best foldable bathtub for toddlers! Unfortunately, the Stokke baby bath is not available on Amazon Australia. The Baby Joy Baby foldable baby bathtub is made from safe and non-toxic materials. Thanks to the deep and spacious tub, your baby and even a toddler gets to enjoy a very comfortable bath. Like a proper bath, it has a removable plug for quick water drainage. Kids tend to be quick in figuring out how to remove the plug, so keep a close eye if you want to prevent having to fill the tub over and over again. The bottom legs are non-slip so you can use this travel bathtub on any flat surface. The inside is reported to be slippery, so if your little one can’t hold themselves yet, you might want to add some anti-slip stickers. Because it comes as one piece, it is easy to clean and easy to transport without losing parts. It comes with a handy storage block for toiletries as well. You can use the foldable baby bath tub with a newborn as well. It’s possible to recline the position and it comes with a special padded mesh sling. This way it is easy to keep your tiny baby’s head above water. One thing to mention is that warm water makes the plastic go soft and the upright position pops back down because it can’t hold the baby’s weight. The Baby Joy portable bathtub is convenient as a travel companion, folding entirely flat by pushing 4 safety button buckles. The dimensions of the bath are 33.5″ x 20.1″ x 8.7″ (85 x 51 x 21.6 cm), while the height reduces to a mere 2″ (5 cm) when folded. The net weight is 5 pounds (2.3 kg). Quite a lot of parents mention that this travel baby bath tub is too large for traveling and easy storage. Because of the dimensions, it is not very suitable for airplane holidays. However, it will do perfectly on a road trip or to use at home if you don’t have a tub or a baby who is scared of the large bathtub. The folding bathtub is suitable for babies from birth to 3 years old (and it’s so big that even preschoolers could get in!) an is available in bright blue, green and pink. The Baby Joy tub is the best foldable infant bath tub we could find and definitely the best portable infant to toddler tub! The Baby Joy collapsible bathtub isn’t available on Amazon.ca. The Fome tub has similar dimensions and use but lacks a baby sling. You can check it out here. The Baby Joy foldable baby tub isn’t available on Amazon.co.uk. There is however a very similar Costzon product with a baby sling or baby cushion. Click here to buy. The Costzon bath is rather expensive, so if you don’t need an infant bath, there are other (cheaper) options. For example, this one. The Baby Joy collapsible baby tub isn’t available on Amazon.com.au but there is a similar product from Kidsmile. Click here to see prices. The Disney travel baby and toddler bath is a cheap portable baby tub that is going to be a whole lot of fun for you and your baby! The material is PVC that is free of BPA, Phthalates and heavy metals. This inflatable bathtub measures 20.5″ x 7″ x 30.5″ (52.5 x 17.8 x 77.5 cm) and weighs 1.8 pounds (800g). 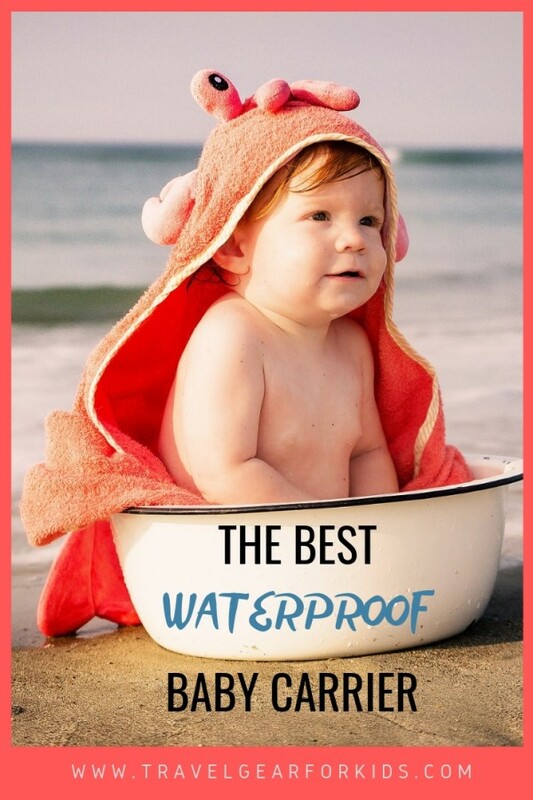 It is not very deep, so your little one will only be splashing around in it, but as it is only suitable for small children that’s hardly a problem. Bear in mind that this isn’t a large inflatable baby bath. The inside compartment measures 19″ (48.3 cm) but it comes with a non-detachable support pillow which limits the actual bathing space to 16″ (40.6 cm). The features officially include a non-slip surface, a water temperature display and large storage pockets for soap and shampoo. Many parents report that it is very slippery, so make sure you always stay near to your child! Also, buying some non-slip bathtub stickers won’t hurt. Check them out here. The temperature display works but with very subtle shading, making it very hard to see. You should not rely on this! The large pockets are usually a big success and great for some baby play time. You should inflate this infant travel bath by mouth. If you find it hard, make sure you squeeze the inflaters because they are self-closing and only open up if you squeeze while blowing. The baby inflatable bath tub comes with two valves: one for the bottom and one to inflate the sides. Unfortunately, there is no drain, so you’ll have to push it over to get the water out. Because the sides stick out a bit, the inflatable baby bath tub is hard to fill without a shower head or bucket. The Disney inflatable tub for baby has a suction cup so you can hang it out to dry. Make sure to dry it really carefully afterward, because all the holes and nooks make it attractive for mold. Please note that this is an inflatable bath tub for baby and thus susceptible to air leaks. Some parents manage to keep it over a year, while others mention it already started deflating after a couple of days. But in any case you probably won’t be able to use this tub for your child’s whole infancy and toddlerhood. The Disney travel bathtub can be used for children from 6 months to 18/24 months. 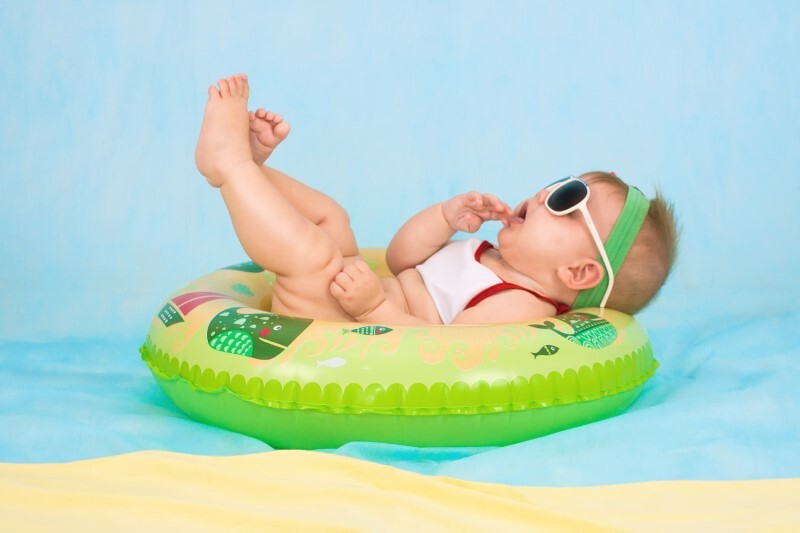 Toddlers that are over 18 months won’t have a lot of space in the inflatable infant tub. Parents report that it is bigger than the duck inflatable tub we mention below. Your little one can choose their favorite Disney character: Mickey Mouse, Nemo and more. very big: up to 5 years! The Fajiabao portable bathtub is one of the most durable inflatable tubs for your baby. As it is filled with air, leaks are likely to occur. However, this portable bathtub for kids will last somewhere between a couple of months and 2 years. Which makes it a lot more sturdy than the inflatable duck tub or the Disney baths. And they even add a small tube of glue to your package, to make sure you can keep on using your baby bath even if problems should arise in the future. The outer size is 38.5″x25″x11″ (97.8 x 63.5 x 28 cm) while the inner size is 30″ x 15.5″ x 10″ (76.2 x 39.4 x 25.4 cm) and you can easily put it in your suitcase when folded. Because of this large size, it is suitable for kids until 3 years, but parents state that even kids up until 5 years fit in this baby inflatable tub! The Fajiabao inflatable bathtub for kids is made from safe and non-toxic materials. Unfortunately, it smells quite a bit at the beginning, but the odor fades quickly. The bottom of the tub holds a special drainage outlet for easy emptying. The ribbed design should prevent your child from slipping, but it still is quite slippery. An inflatable pillow in the middle makes it easier for your baby to stay upright. It has a separate inflation valve so you can just leave it flat for bigger kids, it won’t hinder them. A storage pocket on the side and a loop to hang it to let it dry, makes this baby inflatable bath even more convenient. As does the curved back, which makes rinsing hair a lot easier. You can use this inflatable bathtub for shower or you can put it in the regular tub. You can use the 3 valves to blow it by mouth or with an air pump. The high walls will prevent your little one from tipping over, unless they are into wall climbing for toddlers. The Fajiabao travel bath weighs 2.4 pounds (1.1 kg) and is available in blue and pink. There are many inflatable baby tubs available on Amazon with a very similar design. It is suitable for children age 6 months to 3+ years. It is the perfect travel bathtub for toddler, as a 3 year old will still have a lot of space and even older kids will fit in. Although in theory, it should be fine for a newborn, it is better to wait until a baby can sit independently because the inflatable travel baby bath is that large. It’s a great transitional tub as well! The Fajiabao tub is the best inflatable baby bathtub for toddlers! The Fajiabao inflatable bath tub baby isn’t available on Amazon.ca, Amazon.co.uk and Amazon.com.au. There are a lot of similar (or even exact) designs. You can check them out here for Canada, click here for the UK or pick the Australian version here. The Munchkin inflatable bathtub for baby is a good choice when you want a small and lightweight travel bath. Thanks to the padded design, your little one gets a safe and comfy environment. The White Hot safety technology tells you when the water is too hot for your baby’s skin. The bottom of the portable bathtub is textured, making sure the child doesn’t slip. It comes with a removable plug for easy emptying. The material is a sturdy plastic, so normal bathing shouldn’t get it punctured easily. The Munchkin inflatable bathtub was voted the best baby bathtub 2016 by Babycenter. The bathtub weighs 1.6 pounds (0.7 kg) and inflated measures about 31″ x 19″ (78.8 x 48 cm). It deflates and folds easily to 9.2 x 3 x 7.5 inches (23.4 x 7.6 x 19 cm). The Munchkin travel bath is perfect for babies between 6 to 24 months and is available in a duck or swan design. Order this cute travel baby bath here! When it comes to travelling with a toddler on a plane, you might spend weeks having nightmares about what can go wrong. That is if you’ve decided to take the plunge, because how many parents prolong their travels until the kids are a bit older. Knowing that you will be locked in a tin box for X-number of hours with no way out, freaking out is not uncommon. Because: will they stay in their seat? Will they take a nap? Or on long-haul flights: will they sleep at all? Will they eat something? Will they annoy the passengers next to us? Will they scream the whole flight? The list can go on and on and on. Fear not, most people travelling with a toddler on a plane don’t think it’s the worst experience of their life. Phew! That doesn’t mean it’s all sunshine and rainbows either. Putting a toddler on a plane can be hard work at times and there’s no guarantee they will act the way you want them to. There are however quite a few things you can anticipate to make your airplane travel with toddler go as smooth as possible. We flew quite a few times with our daughter during toddlerhood including long-haul flights from Europe to Malaysia and Colombia. Even though we feel like we have a decent base to give you information, we believe that you could use all the intel we could provide. Just to be sure you’re well prepared. That’s why we’ve asked 20 experienced family travellers to share their most indispensible item to travel with toddler on plane. TIP: If you would like to read more tips for flying with a toddler, click here! 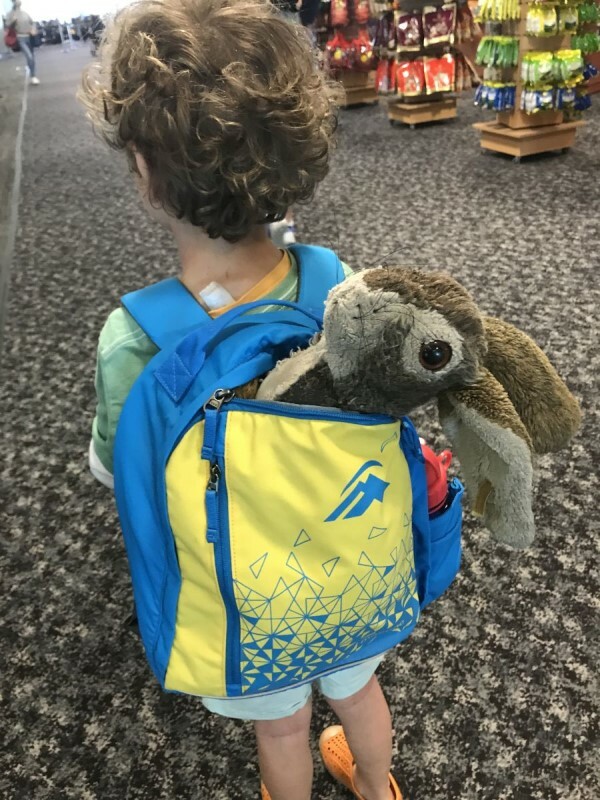 WHAT DO I REALLY NEED TO BRING WHEN I’M TRAVELLING WITH A TODDLER ON A PLANE? Don’t start panicking when you see the list below, we’ve made a selection of items that would be useful but we don’t expect you to bring them all! So, what do you really have to bring on that toddler airplane trip? Sleeping: make sure you’ve got the sleeping part covered with at least one item that will help your little one get comfortable for the night. That might be something small like a blanket or pillow (read more on the best travel pillows for toddlers here) or can go as far as airplane toddler beds. Toddler plane activities: you want your little one to be as calm and quiet as possible when you are traveling with a toddler on a plane, so airplane toys for toddlers will be an important part of your carry-on luggage. That doesn’t mean you should bring everything you can find just to entertain your kiddo (make sure to read tip nr. 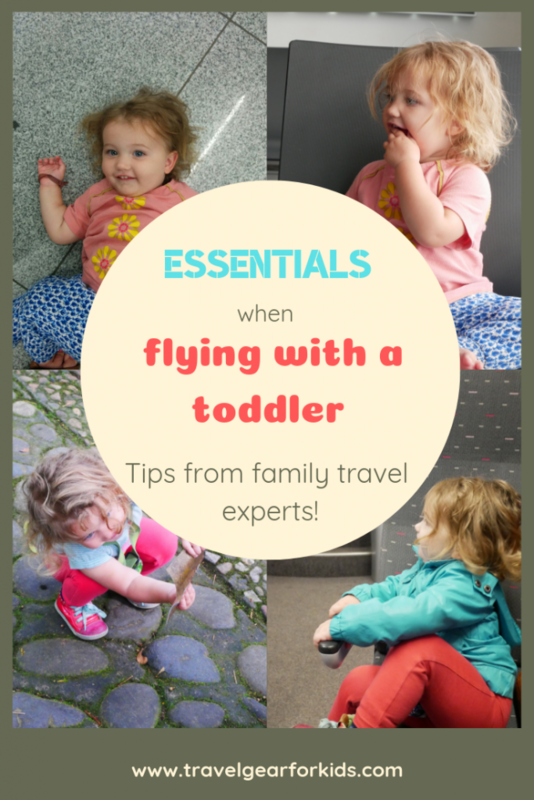 3 of our tips for flying with a toddler!). Three to four well-thought items should be more than enough to keep your baby occupied for a couple of hours. Add to that a bit of naptime and some snacks and you’ll be at your destination in no time. Things that will make your life easier: there are a couple of things that will make traveling with toddler on plane so much more comfortable. First of all you’ll need something for easy transport on the airport: a travel stroller or toddler carrier. (Check out our article on the best lightweight stroller or our post about the best travel baby carrier from newborn to preschool.) Other essentials include a backpack, some sort of snack container and a water bottle. We never travel without these travel products! The main point of concern for a lot of parents is the sleeping part. On a red-eye flight you really really want your little one to sleep, for a variety of reasons (not disturbing the other passengers and their need of sleep as the main ones). But even on a short(er) flight, you will all benefit from a good nap (yay, movie time!). 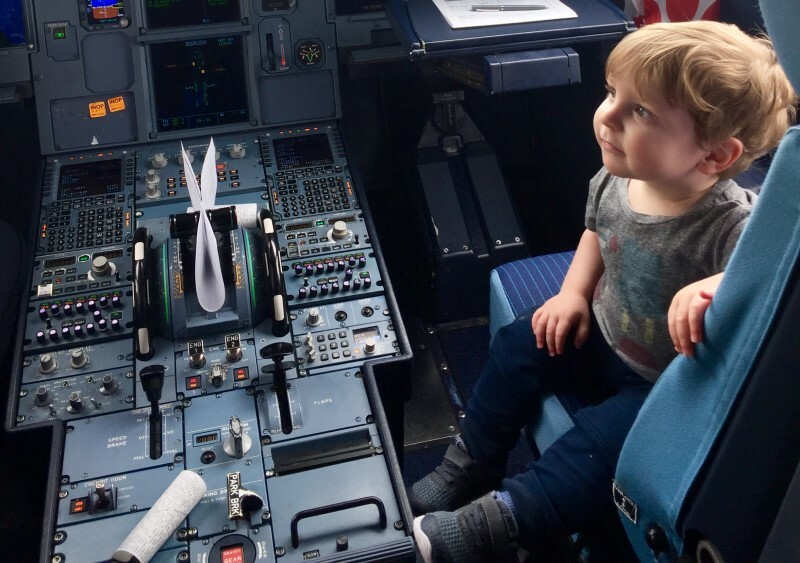 The bright plane lights, the new environment, people passing through the small airplane isles, chatter and just the whole excited feeling of going on a trip and being in a plane might be too much for a toddler. You can help your little one relax in two ways: habit & comfort. Habit: sticking to your bed or naptime ritual is key. Implement the things you do at home on the flight. Bring a sleeping bag if they’re used to sleeping in one, brush their teeth and read a bedtime story. Toddlers love structure and they will benefit greatly if their usual ritual is applied, even if it’s in an unknown environment. Comfort: your kiddo isn’t going to sleep if they are not comfortable. If they’re under two and you have them on your lap, you unfortunately can’t use a sleeping aid (as they need their own chair to make something that will resemble a toddler bed for plane). On the other hand, there is nothing more comfortable than mummy or daddy’s lap. For your baby at least. Our 3,5 year old still always ends up sleeping on my lap (or stretched out over both our laps). If your toddler has their own chair, you can use equipment to get them more comfortable or install a complete airplane toddler bed. Read on to discover the most useful items for getting toddler to sleep on plane. Carrie’s daughters love their Travel Snug! We love taking our Travel Snug with us on flights. It is essentially a padded cushion with sides and a back which slots onto an airline seat making it very comfy for toddlers. There are loops so the seatbelt can be used normally and securely. It is a bit bulky to pack and needs to be carried in addition to hand luggage, but we found the benefits far outweigh the cons. Our youngest quickly snuggles into it and falls asleep comfortably. It definitely is a great airplane seat for toddlers. 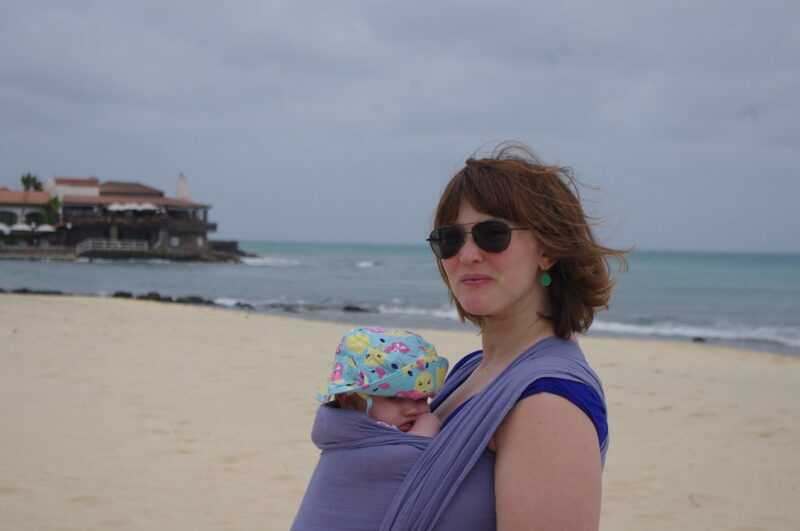 You can find a full review of the Travel Snug on Carrie’s blog. You can buy the Travel Snug online, but only on the website of the brand itself. The Travel Snug comes in 2 sizes (15 months-3 years & 3-6 years) and in 2 models (with or without shoulder slots to use with a harness). Designs include (among others) dinosaurs, zebra stripes and brightly coloured dots. 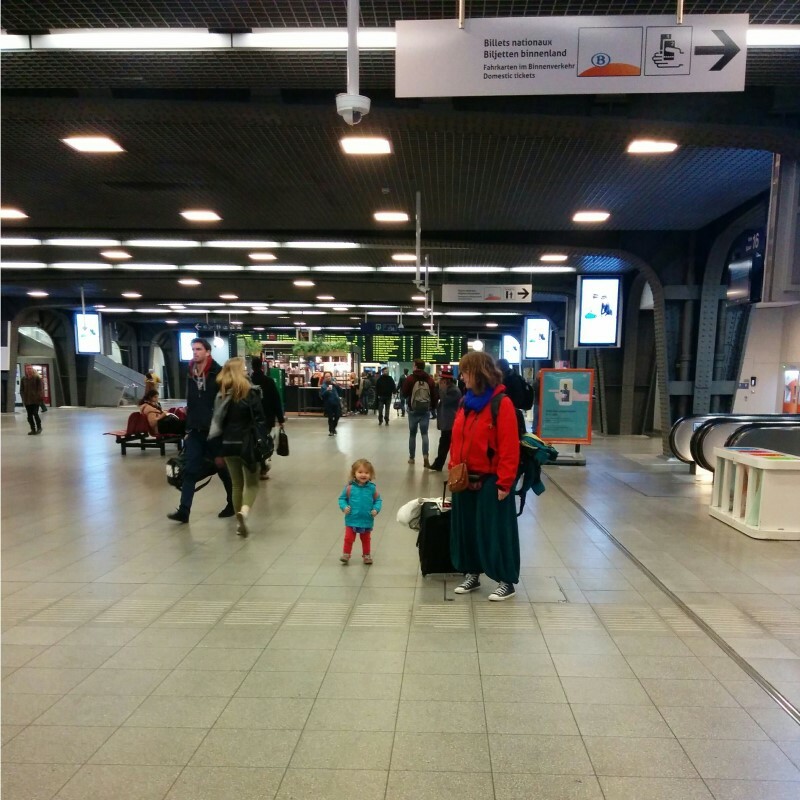 When we were preparing to fly to Australia from Amsterdam with a short layover in Singapore, one of the first things I did was investigate ways to help our 18-month-old son sleep on the flight. One of the options I kept coming across was the JetKids BedBox. An expensive piece of kit, yes. 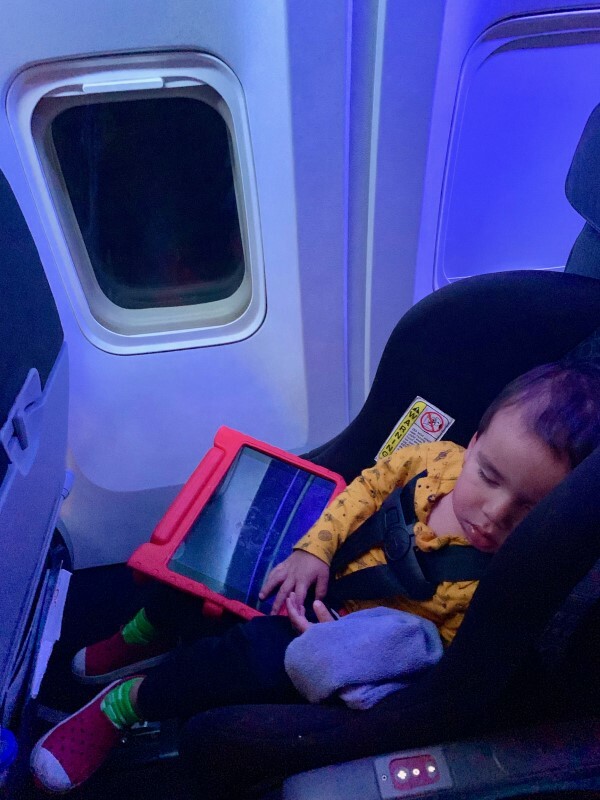 We were ultimately sold on its versatility as a toddler suitcase he can ride on through airports which not only stores his toys and snacks, but then converts into a horizontal airplane bed for toddler in a plane seat‘s footwell. I’ll be honest and say my son didn’t sleep for hours and hours on the BedBox but he did stay put in his chair as it gave him extra space and blocked the escape. It was also the perfect size to store a wide variety of airplane toddler toys and he loves riding it in airports which saves lots of arguments and tired arms. We have used it on every long-haul flight we have done with him since and will now also use it for his younger brother who is coming up to toddler age. You can read a full review of the JetKids BedBox here. Sometimes flying with toddlers can be an adventure and I know as a parent it is a bit daunting. My son and I have flown all around the world for the past few years and when it’s time to pack the carry-ons and get prepared for a long flight, a thin blanket is always an item that we grab. It is super versatile and doesn’t take up a ton of space like some other items. We use the fabulous thin muslin blankets made by the company Aden and Anais. My son loved to create forts with the blankets, which also helped him when nap time rolled around. We also used them on overnight flights to help keep the overhead lights off his face and create a place of slumber. They are also great for rolling up and shoving on the sides of your little one to keep little toys from falling into the cracks between the seats, snuggling up as a comfort item and to be used as a nursing cover for privacy. In an emergency, it can also be used to clean up spills! An essential item to toss into the carry-on. Check out more ideas on items we deem essential for traveling with kids! Kate’s toddler sleeps great in the car seat! For us, the most indispensable travel item for flying with a toddler is a car seat! With our first, we never really thought to bring our car seat ON the plane, and it was only with our second that we tried this option. I will tell you, using the car seat on a plane is a total game changer! Not only is it safer for your little one, but it makes the plane ride so much smoother! Our little ‘wild child’ would have been climbing all over the seats and into the aisles, but with the car seat, he very happily stayed put! It’s also really convenient for a nap on the plane as our kids are both already used to sleeping in their car seats. If you’ve already got a plane seat for your toddler, I would definitely recommend bringing your car seat along! If you are wondering how to entertain a toddler on a plane, this section of the article is just for you! We’ve selected the best travel toys for toddlers on airplanes that were tested and approved by parents that are used to flying with little children. Flying with toddlers is hard. Trying to get toddlers comfy to sleep on a plane is even harder! As much as I’d love to leave the precious soft toys at home (so there is no chance of them getting lost) we really can’t do without them. The kids’ soft toys give them something to play with, something to snuggle up with and can also work quite well as a pillow against the arm rest or window. The soft toys are also something really familiar for the kids in what can sometimes be an unfamiliar environment. As soon as my kids have their favourite soft toy they seem to instantly relax. Amber shares her love for family travel to far away places and music festivals on her blog Hill Tribe Travels. I love my toddler’s Etch A Sketch for travel. In an effort to minimize electronic screen-time as much as possible (though, let’s be honest, we fail more often than not! ), my husband and I opt for the magnetic screen instead! It keeps our son busy for hours on end, giving us time to breathe – and sometimes even nap! – on long flights. My tip would be to get one with an attached stylus instead of the turning knobs (knobs don’t seem to be very user-friendly for kids that age). My son has a ball drawing dinosaurs, making smiley faces, tracing his hands… the list goes on. For such an inexpensive contraption, this airplane toy toddler has been worth its weight in gold! Mary Beth also has some great tips for traveling with babies! When travelling on a plane with children, we always ensure we take in our carry-on luggage some special items from home to help entertain the kids on the flight. Some of these are hand picked by us, and others we allow our girls to choose. We are avid readers, and our girls have loved books from a young age, which is what makes them the perfect travel accessory as they enjoy sitting with us to read a story. This becomes extremely handy on a flight if you have a restless child or when the seatbelt signs are switched on. They are a practical travel toy as they are mess-free, can be stored easily in a bag or the seat pocket of the plane and there are lots of light-weight options. We find they are even useful when we were in a queue or waiting to board as the girls could flip through the pages looking at the pictures. If you are travelling on an overnight flight, they are a great way for the kids to unwind and hopefully nod off to sleep shortly after you read them their favourite book. 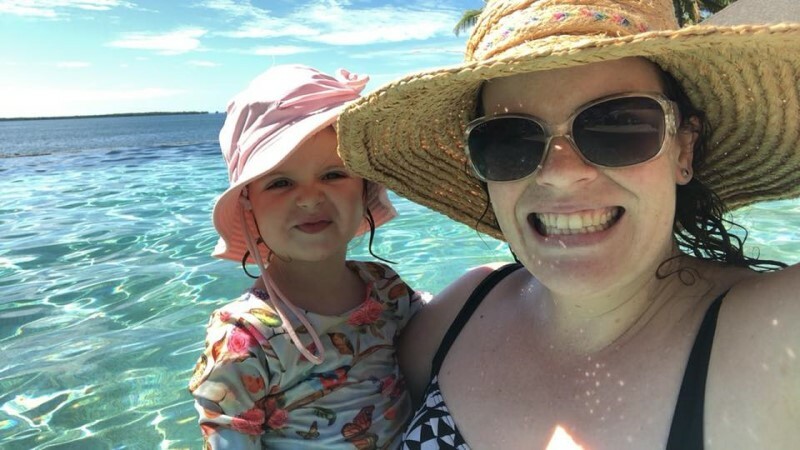 Sharee shares the best travel tips about the Australian Gold Coast and more on her travel blog Inspire Family Travel. One of the easiest airplane activities for toddler on the move is colouring, but nobody wants to spend half their flight with their head stuck between chairs picking things up. We quickly discovered that chunky triangle crayons were one of the most genius inventions and best airplane toys for toddlers. Not only do they stay put on the tray table, they’re easy for little hands to grip and they can be used for quick and easy stacking games too. Get more tips on flying with kids here! We never travel without a bag of Lego pieces and it might be one of the best toddler toys for airplane! Lego is a creative toy for children of all ages and occupies our kids for hours on long flights. It does not make a noise, will not roll away down the aisle, it does not make a mess and the tough, durable pieces won’t break easily. Best of all, once you have finished playing with it, Lego is easily washed for reuse another trip. This toy airplane for toddler won’t end up in a landfill after one use! To use on an airplane, bring a small baseboard and attach it to the seat tray with a dab of sticky putty type adhesive. This stops models from sliding around during the flight and will keep young toddler hands happy! 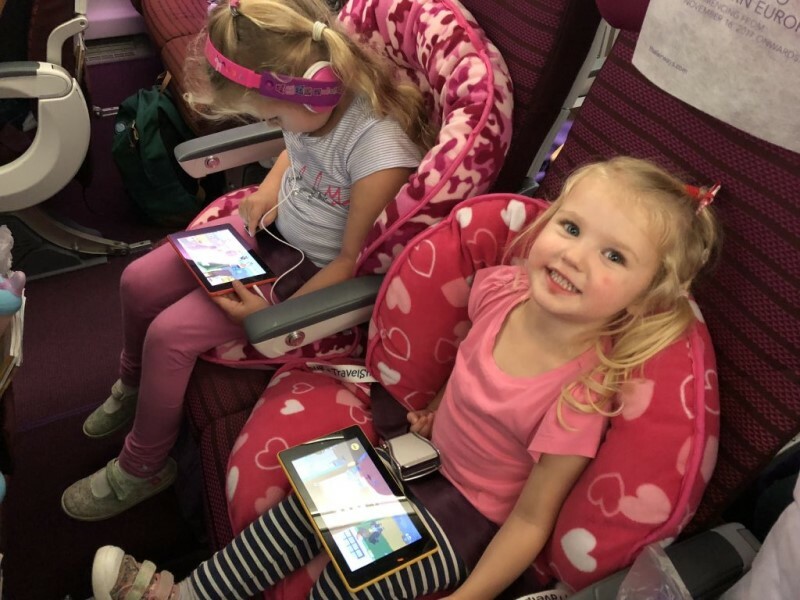 Screen time for children is a contentious issue, but even if there is only one situation that you’re willing to give in to technology, flying with a toddler should be it! When a meltdown is imminent and distraction is critical, pre-downloaded television shows and podcasts, or the onboard entertainment system will be a lifesaver. In order to be prepared for this moment, make sure you pack toddler headphones in your little one’s carry on. These should include a safe maximum level of volume and be comfortable for them to wear. The right headphones will also help to block out surrounding noise which can be scary for small children – especially if they haven’t flown before. Our son thinks it’s a real treat to wear his special headphones on flights. And when he is drowsy but finding it difficult to sleep in the unfamiliar surroundings, we will sometimes find a guided meditation for him – the soothing voice and music relaxes him, while his headphones reduce other distractions which could disturb him, while he dozes off. You can follow Stephanie’s adventures on her blog Navigating Adventure. One of the best toddler toys for airplane that has proven to be used time and time again with kids is the Melissa and Doug Water Wow writing pad. The painting with water book has a hard-cardboard backing and a refillable water filled brush. Children have fun scribbling on the pages with the brush and watching the colors of the pictures come to life with every stroke. When the page is filled with color, they move on to the next page to start all over again. Each page dries in the air in just a few minutes, even when closed! There are numerous themes to pick from and it can also easily be brought on the plane for hours of entertainment! Get some travel inspiration on Diana’s blog The Elusive Family! The Boogie Board LCD eWriter tablet is an indispensable item for flying with toddlers. We particularly love the Boogie Board Jot 8.5, which serves as an endless notepad that can be used for doodling and erased up to 50,000 times. The Boogie Board Jot 8.5 is sleek and compact and easy to throw into a carry on or handbag. The stylus is easy for little hands to manipulate, and our kids love the bright screen. This is one “screen” that kids can use while still remaining unplugged. The Boogie Board Jot 8.5 encourages hours of creativity without WiFi. Whether you are flying or driving with your kids, we all know just how challenging it is to keep track of markers and crayons from falling all over the place. Not to mention the child who likes to get extra creative and draw on things around him! That’s why our family loves to travel with Imagine Ink Books. These books are coloring books designed to only work with the special marker it comes with. My kids love seeing the pictures comes to life and I love that it is only ONE invisible ink marker that I need to keep track of and it cannot draw on anything else. It’s definitely on my list of best toys for toddler on plane. There are so many different kinds available from Disney characters to kids’ favorite NIckoledeon shows. Be sure to check them out and bring them along on your next adventure! You can follow Bethany’s adventures on her blog Waves and Lilacs. Of course, you want to take a range of toys and books to keep your little one entertained on a flight. But I am not sure that I would get on a plane with toddlers without an iPad or tablet. And many parents would agree that when they think about the best airplane activities for toddler, the tablet will be at the #1 spot. In one small package, you can carry their favourite music, tv shows and games. Just what you need when they start to get a bit grumpy about being cooped up on a seat for hours on end. Our girls also really love looking at photos and videos of themselves so why not relive your holiday on the flight home? Make sure that you charge the battery before you go (don’t forget that powerbank that is mentioned below!) and it is a good idea to add a couple of new games or apps for your little one so that they have something new to play. If you are looking for a tablet for your child, you can check out Chris’ review of the best tablets for toddlers. There are definitely other items on your traveling with a toddler on a plane checklist than a airplane toddler bed set and a selections of the best toys for toddler on plane. Toddler airplane tips include a big bag full of snacks and keeping your hands free at all times. Read on to discover more essentials on how to travel with a toddler by plane and keep your sanity. Before traveling with a kid, I certainly didn’t worry as much about germs. Things have certainly changed since flying with a baby and now a toddler. One item we don’t fly without is Sanitizing Wipes. Right when we sit down, we wipe down everything with the sanitizing wipes: the seat, the tray, seatbelt, armrest and everything in between. The last thing you want to do is pick up all of those airport germs when your little one is touching and even biting everything. Sanitizing wipes are a great way to help combat germs and sickness during travel, and the little travel packs make them easy to throw in a carry-on when flying with a toddler. Once my son was too heavy (and mobile!) to be contained in a carrier, we knew we would have to invest in a good collapsible stroller that ideally could also come on the plane with us for long layovers in airports. 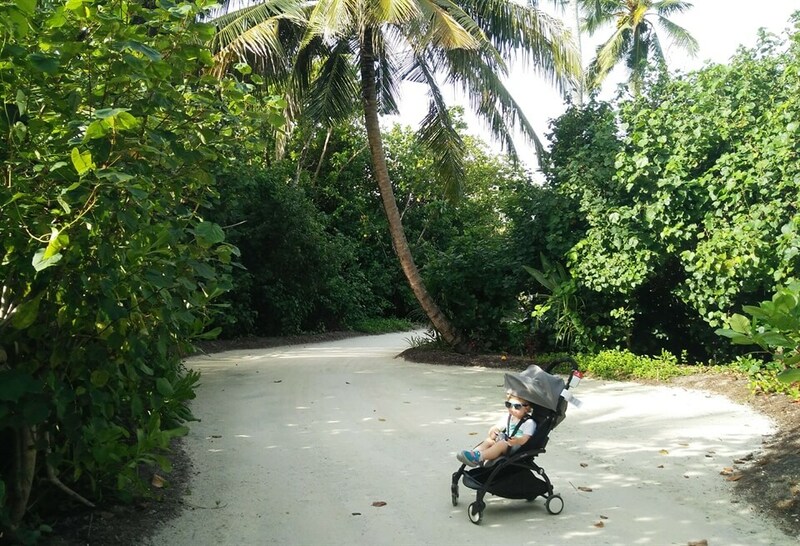 After a little research the BabyZen YoYo+ stroller was an obvious winner as the best travel stroller. It was also going to be a great city buggy for living on a third floor apartment (no stairs!) in Amsterdam. The reason this is such an indispensable piece of kit when travelling with toddlers is that it’s light (under 13 lbs/6kg), it folds up to be the same size as a briefcase and so can be placed in the overhead luggage bins or even under the seat in front of you. It can open up or fold down with just a few hand movements (and even with just one hand if you have to contain the toddler with the other) and it’s the sturdiest lightweight travel stroller I think you’ll find on the market. 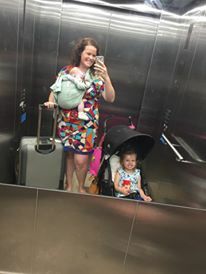 We’ve had ours over two years and it’s still going strong even after taking it with us on over twenty flights with our toddler son, and using it multiple times a week at home too. It’s also pretty comfortable for the kid too, which we know to be true as our sleep-dodging toddler will regularly sleep in it when we’re travelling – yay! Frankie also has a great article on how to survive jetlag with a toddler. I feel well qualified to comment on this as I had twins and another baby two years apart meaning for a while we had three kids under three! The most important travel tip for me is to always use a rucksack as your hand luggage so you can keep your hands free for toddler-wrangling. My twin boys used to run in opposite directions so wearing a rucksack for travelling meant I could hold both of their hands while also carrying their baby sister in a carrier on my front. When travelling with multiple little ones, the last thing you want to be doing is thinking about your bags. Rucksacks also usually squash under the seats on planes, so you can get to your bag easily mid-flight rather than needing to stand up to access the overhead compartment plus they tend to unzip all around giving you access to everything from nappies to wipes quickly. We always take our water bottles when flying with toddlers or small children. First, having cups of water in the small space of a plane seat and tray table is a recipe for disaster and the last thing you want is wet clothes if the water gets spilled. Bottles of water are also really expensive and we find airline staff are usually more than happy to fill up a water bottle for any children we are travelling with. Remember to keep it empty when going through customs and fill it up either in the departure lounge in one of the restaurants there or on the plane. It’s great to have when you get to your destination too. You can find more travel inspiration on Nichola’s blog Global Mouse Travels! 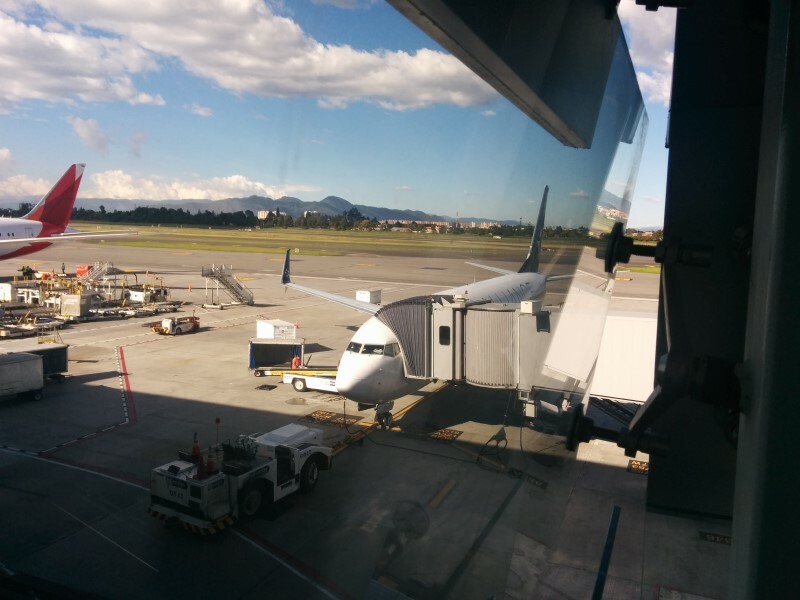 Have you ever been delayed once you’re already on the airplane? It has happened to us while traveling. I was so thankful to have my Anker PowerCore portable charger with me! My kids’ tablets don’t hold their charge very long and I was able to hand over my fully charged phone to help keep them entertained during the unexpected delay. I also use my phone as my main camera, but the battery gets depleted quickly. Again, my portable charger to the rescue! I always throw it into my purse before a trip and I always end up using it. Whether it helps to preserve memories or makes a travel delay tolerable, it’s my must have item when traveling with kids. You can find Natalie’s great article on car seats here! There are some items that are just indispensable while traveling with a toddler. Whether your child is in a growth spurt (which they seem to always be), or simply food motivated, snacks are key to having success with travel! Giving your little one some snacks is one of the best toddler airplane activities as they keep your child distracted and happy all at the same time. After all, a hungry child usually leads to meltdowns… and well, we want to avoid meltdowns at all costs! I’ve always found that snacks are also way better than activities with keeping toddlers occupied. For infants and younger toddlers, we love the oxo tot snack container because it does not spill when dropped! And for those food pouches that are super handy… we love these pouch toppers to prevent squeeze overflows. For longer trips, bento boxes are amazing to pack all sorts of fun snacks in. Our toddler loved all the compartments! It is a must have item if you are flying with your little one. A Preparakit is a mini first aid kit which contains bandages and medicines for toddler safety. The kit contains Kids bandages, Fabric bandages, Large fabric bandages for knee or elbow, Fabric fingertip bandages, Sterile gauze, Hydrocortisone Anti Itch Cream and Burn Cream packets, Antibiotic Ointments, Swabs / Cotton tip applicators, Lip Balm, Alcohol Free Antiseptic Wipes, Antibacterial Wipes, Thermometer Strips and Safety Pins, Tweezers, Nail Clippers and Bandage Scissors, Roll of adhesive medical tape and Stickers to soothe away tears. Contents may vary depending on the manufacturing company. But a Preparakit can make you feel safe while traveling with a toddler. This small kit about the size of a purse has everything to provide first aids if your kid gets an injury. 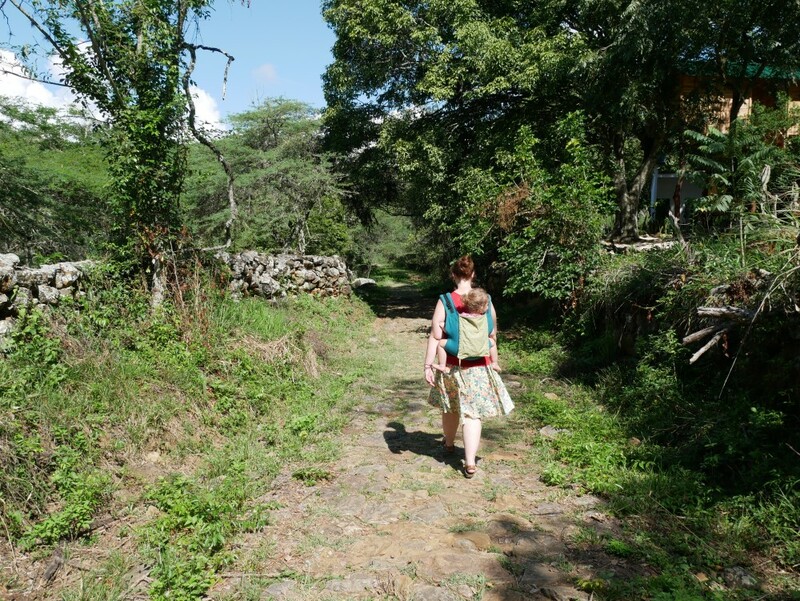 On her blog The Mama Pirate, Carlita shares stories about traveling, parenting and gardening. What is the favorite item on your flying with a toddler checklist? Whether you’re staying at a hotel and eating out regularly or you’re renting an apartment and eating in all the time, you’ll really want a travel high chair. The wonder of being able to eat with 2 hands is something every (new) parent can relate to. Agreed, some restaurants do have a high chair of their own but more often than not they’re so sticky you don’t even want to think about putting your baby in there. So, let’s get down to business and find the perfect portable high chair for your family. TIP: read these 5 steps for a better restaurant experience with toddlers! What to look for in a travel high chair? Chicco Caddy Hook On Chair hook-on chair 6m - 37 lbs (16.8 kg) 14.40" x 14.50" x 4.70"
At home, you can choose whatever kind of high chair you prefer: a vintage one, one that grows with your child or just the cheapest one you can find. But when traveling, you might want to consider something that is flexible, lightweight and easy to pack. Travel high chairs can be divided into 4 groups. It’s really up to you and your travel situation to decide which one you prefer. If you will be flying, you need to carry that portable highchair with you all the time, thus make sure it is as lightweight and compact as possible. However, if you need a portable baby chair at your parents or in-laws, easy-to-use and clean will become much more important. This kind of portable baby chair actually looks a lot like a regular high chair, but with the capacity to fold down and thus take up a lot less space. They are generally easy to clean and come with a tray. Because you don’t need another chair to strap the baby folding chair onto, this is the best choice if you are looking for a baby camping chair! This portable baby seat is simply something that will elevate your baby so they sit higher and more comfortably at the table. A portable baby booster seat is either foldable or comes as a rectangular box with a pop up back panel. It is meant to be put on a regular chair with a back. This way your child will be able to eat from the table at a comfortable height. The need of a chair with backing can be a downside. A foldable booster seat can be strapped upon a normal chair or used on the ground. With the latter option, you don’t need a regular chair to make it work, which makes this type a great camping high chair too! Another benefit of the folding baby high chair booster seat is that it can be used as a play table. You can put it on the ground and it has a tray, so your kiddo can draw or play without running away. The box-version usually doesn’t take up too much space and you can often carry them as a shoulder bag with additional space for diapers or other essentials. Be aware that your baby should have sufficient body control before you put them in a portable booster high chair. Like a portable cloth high chair, the lack of side support could cause your little one to slouch or even fall to the side. If you have a baby that is not that good in sitting yet, you’re better of with a compact folding high chair or a baby seat that hooks on table. The big plus of these kind of portable high chairs is that they can often be used up until 50 lbs (22.7 kg). This means that if you are looking for the best toddler folding chair, a portable high chair booster seat is the best choice! This kind of portable feeding chair is frequently used when traveling by plane because they tend to take very little space. You can simply hang it over a chair and put your baby in. However, it is not a real portable high chair seat, meaning that it does not elevate your baby to the hight of the table. Because of this, your child won’t be able to eat comfortably from the table. It does, however, helps to keep your little one safe and secure on their own chair. And if you put their plate in front of them on the chair, they will manage just fine. Also, be aware that your baby should have sufficient body control before you put them in a fabric travel high chair. Like a booster seat, the lack of side support could cause your little one to slouch or even fall to the side. If you have a baby that is not that good in sitting yet, you’re better of with a compact folding high chair or a baby seat that hooks on table. This type of portable baby high chair can be clipped upon the table thanks to adjustable arms that are usually screwed to tighten. This way your baby can sit with you and eat from either the table or an extra tray. They are foldable, lightweight and generally come with a bag, which makes them great travel companions. One thing to keep in mind is to not attach them to a pedestal table as the weight of your baby might pull the whole thing down! Make sure to only use them with a regular 4-legs table. What is the most important feature of a portable high chair for you and your family? In an ideal world, all 5 boxes should be ticked, but in real life you’ll probably have to make concessions. And that’s all right, because not everybody needs the same things nor goes on the same type of holiday. When you think about portability, there are 3 items to keep in mind: the compactness (the dimensions), the weight and the method of carrying the infant portable high chair around. If you are traveling by plane, make sure to give equal thought to dimensions and weight. The best portable high chair for travel should be compact of course, but it being lightweight is even more important. Every pound counts on a plane! The best travel chair is easy to transport as well: if you can put it in a backpack or diaper bag, you’ll be less likely to forget it somewhere and you won’t need to carry anything beyond your regular stuff. If you are traveling by car or if you want a folding travel high chair for at-home use, the portability requirements will be less distinct. The weight won’t matter all that much (because all travel high chairs are more or less lightweight, none of them are really heavy). As for the dimensions and compactness, you’ll most likely want something rectangular that you can put in the car easily. If the carrying bag comes with a shoulder strap, then that’s a big plus but not a necessity. The safety of a portable travel seat should be your main focus point. When it comes to your baby, safety is key, always! Always make sure that you use a portable high chair for restaurants that is appropriate for the age of your child. If you have a small baby, they will need a lot more support. For that reason (and as mentioned before), booster seats and harnesses aren’t suitable for small children. In the same line, always make sure that your toddler or preschooler isn’t too heavy for that particular fold up travel high chair yet. If there are weight restrictions, keep to it! Do keep in mind as well, that some portable baby seats may be instable on certain surfaces or top heavy, which can cause dangerous situations. A clip on baby high chair should not be used on a pedestal table, as, because of the weight on one side, the table as a whole could tilt over. As you buy a product with the intent to use it – potentially and hopefully a lot – you want to make sure that it is easy to use. The first thing to make sure of is that the type of portable high seat matches what you are looking for. Do you want your baby to sit at the same hight at the table? Do you want it to be extremely lightweight? Do you want to tuck it into your diaper bag? Deciding which kids travel chair type will fit your needs, will be step number 1. Other than that, think about whether or not you need or want a tray? It can come in very handy as they’ll have an easy to reach place to eat from, but it makes the fold up travel high chair bulkier. And if you decide to go for portable baby chair with tray, is it large enough? Let’s face it: kids are messy eaters. So, no matter what you choose to eat, you’ll spend the after-dinner time cleaning up their seat. Maybe it’s not the most decisive feature, but you can save yourself a lot of time and trouble if you choose a travel baby feeding chair that is easy to clean. The price is an important factor in every purchase. A portable baby chair harness will cost a lot less than a baby clip on high chair or a portable foldable high chair. However, if you feel like you need the benefits of that particular type, it might be well worth the money. After all, you’ll probably be using it for a while. And if not, than that might be a reason to pick a cheaper one. TIP: take a look at this post for more baby travel essentials! So, have you decided which type of travel high chair will be the most suitable for your family? Let’s take a more in-depth look at the different products now. The Summer Infant high chair is the best folding high chair you could wish for to have as an extra at home or to take with you on road trips. The easy pop-and-fold concept makes it possible to set the chair up in seconds. When it is folded down, the rectangular package measures 32.6″ x 8.3″ x 8.3″ (82.8 x 21.1 x 21.1 cm). The carry bag with shoulder strap makes transportation absolutely easy. The travel feeding chair weighs 9 lbs (4.1 kg). Because of the dimensions you probably won’t take it with you on a plane, but it is still compact enough to bring it in the car or better yet, to store it in the trunk permanently so you’ll always have it with you, whether you are going to a diner, a friend’s house or a backyard barbeque. The fabric seat is removable and machine washable, while the tray (which has a cup holder) can be put in the dishwasher. The latter is attached to one side and clips onto the other side or you can just let it swing down to the side and out of the way. This makes it easy to put your child in and out. The tray can also be removed completely. 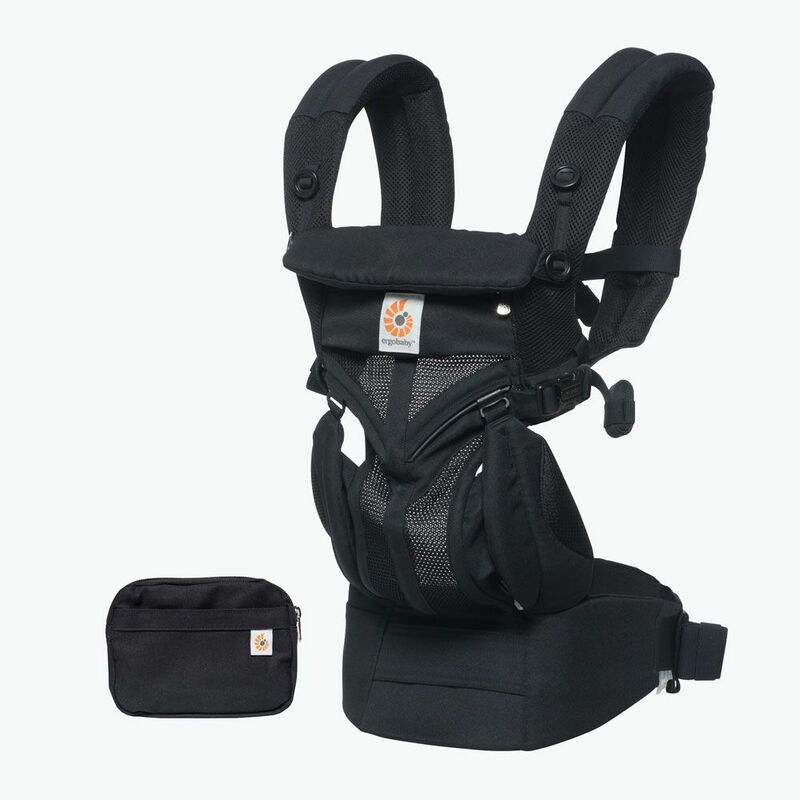 The portable infant chair comes with a storage pocket, a 3-point safety harness and a wet/dry bag (great for wipes or utensils) that you can easily remove and take along with you in your bag. The wide base comes with no-slip rubber feet that hold a firm grip on most surfaces like tiles, grass and wood. It is very stable, so no risk of tipping over. However, the negative side of the wide footprint is that it might be dangerous for tripping! There are 2 editions of the Summer Infant high chairs: the original and the newer Sweetlife . You can use it when your child can sit independently (around 6 months) and up until 45 pounds (20.4 kg). The above-mentioned description goes for the Sweetlife edition. The Original is very similar. However, be aware that a lot of parents communicate that the leg openings of the Original Edition are too small for toddlers. A lot of people end up cutting them open or they just put their baby on top of them. Another effect of the small openings is that you’ll have to lift your baby straight up to get them out. Some parents say they needed help to get their child out. Another problem that has been mentioned is the size of the tray. It is very tiny, but fine for eating without a plate. There’s not enough room, however, for playing. The cover is machine washable, but you have to loosen 2 screws to get it off. The Ciao! portable high chair does in fact have long legs, like a regular high chair. Therefore it is bigger than other travel high chairs but still folds up rather small at 33″ x 8″ x 6.5″ (83.8 x 20.3 x 16.5 cm). Because of the dimensions taking this chair onto an airplane isn’t the most obvious choice, but it is possible! Most airlines will allow you to check it as an extra piece for your baby or you could fit it into a large suitcase. It won’t fit as carry-on luggage however as those are usually limited to around 22″ x 14″ x 9″ (56 x 35.5 x 23 cm). It is, however, the best portable high chair for family camping trips or at the summer holiday house. The big plus is that you don’t need another chair to make it work. You just pop it open and you have a fully working high chair. The high back offers additional head support which is great for babies and children with special needs. With its 8 pounds (3.6 kg), it is not exactly lightweight in terms of airplane luggage, but since you’ll probably be taking it in the car, that doesn’t matter all too much. It is however very stable, which is ultimately the most important feature of a portable high chair. The included vinyl tray makes eating and playing easy for your child and even comes with a build-in cup holder. Be aware that when your child is sitting in the chair, the tray dips down a bit, so you’ll need to use a lip or silicone mat to prevent the food from sliding down into their lap. The safety of your child is covered with a 5-point harness, which isn’t really necessary as they already sit securely in the seat. Because of that, it can sometimes be a little difficult to get your baby out on your own. You can’t remove a piece of the portable infant seat and because it’s lightweight it is possible that you have to stand behind the chair, hold it down with one foot while you wiggle your child out. The Ciao! Baby portable highchair can be used for babies from 3 months up to 3 years (35 lbs). It is available in 9 funky colors. Make sure to check out the clip-on umbrella as well! The Summer Infant Pop ‘n Sit portable travel high chair feels a lot like a tiny camping chair. Folded down it measures only 17″ x 7″ x 6″ and it’s easy to transport in the attached travel bag. The baby travel chair comes with a dishwasher-safe BPA-free tray for eating or playing. It can be used both on the ground or strapped onto a regular chair, while your child sits stable and secure thanks to the 3-point safety harness. However, be aware that the straps are not sewn to the backrest but to the seat itself. This may cause discomfort for your child! If your little one is not a self-proclaimed acrobat, consider not buckling the straps, but keep a close eye at all times. This baby travel high chair can be used for children from 6 months up to 4 years (37 pounds). It is available in a bunch of different colors and in an older and a new design. The Elevate travel high chair booster seat by Munchkin comes as a great solution for getting your child to eat at the big people’s table. The aluminum frame and the wooden seat are a lot sturdier than other (plastic) booster or travel high chairs. It might not be the best for plane travels, as it only folds to 13.8″ x 16″ x 23″ (35 x 40.6 x 58.4 cm). It is, however, absolutely perfect for car travel since it folds flat and can thus be stored easily on top of your other luggage. The booster chair is very lightweight at only 6 pounds (2.7 kg). Both the feet and the chair hooks are rubberized, making them safe for slipping. You simply hook this travel high chair to your regular chair and your baby can eat away. The Munchkin Elevate portable booster seat is suitable for children from 6 months up to 33 lbs. It is available in only one design (aluminum frame and wooden sitting area). Check the latest price here! The Chicco travel high chair has adjustable straps on the back and the bottom to easily secure it to a normal chair. Thanks to the anti-slip feet it is safe to use on the ground as well. Furthermore, the feet are made of metal, making them very sturdy. A 3-point harness helps to secure your little one. Thanks to three height and tray positions, it can grow with your child. The folded dimensions are 14″x13″x2.5″ and it weighs only 6.5 pounds (2.9 kg). This is a cheap and good option when looking for a travel high chair. The dimensions make it even possible to put it in a suitcase for your international travels. An easy push-button fold makes transport as easy as it gets, as does the carry strap. The Chicco travel high chair seat can be used for children from 6 months (if they can sit up straight by themselves) up to 50 lbs. It is available in light grey, lavender, and dark grey. Choose your favorite one here! The Munchkin Brica Goboost is the kind of travel booster seat for eating you might consider packing for your international journeys. As it folds down to 11″ x 11″ x 5.5″ (27.9 x 27.9 x 14 cm) you can easily fit it into your luggage. Furthermore, it only weighs about 2.5 pounds (1.1 kg), so you won’t have to cut back in any of the essential travel gear for kids. Most noteworthy is that it is not only a travel high chair, but it doubles as a diaper bag as well! It comes with a convenient carrying strap, giving it the look of a diaper bag. Extra-grip pads and the 3-point harness provide all the safety you want. Three straps securely attach the portable baby feeding chair to regular chairs. This travel booster seat is suitable for children from 12 months to 50 lbs. That’s why we love it as a toddler portable high chair as well! Now isn’t the Benbat Yummigo portable booster seat for travel a treat! Packing smart and as lightweight as possible, is something we value greatly and we’re sure you do too. This portable booster seat on-the-go doubles as a suitcase for your little one. Or you might want to use it as a diaper bag. That’s some smart thinking! The seat is made out of plastic while the backrest consists of stain-resistant fabric, making the travel high chair easy to clean. Straps on the front and the side help attaching the booster seat to a regular chair and a 3-point harness keeps your child safe. The most noteworthy item, however, is its weight: at only 2 pounds (900 gr) you can add it to your travel gear without hesitation! The folded dimensions are 11.8″ x 5.3″ x 12.4″ (30 x 13.5 x 31.5 cm), so you can even take it with you as a carry-on. The Benbat Yummigo travel booster high chair can be used for children from 9 months (or when they can sit independently) up to 45 lbs. It is available in blue or grey. Pick your favorite one here! The My Little Seat travel high chair is the perfect solution for parents who want to travel as light as possible, but would still like to enjoy some hands-free mealtimes. First of all, it’s about as small as it gets. The travel high chair folds down to the size of a diaper and fits in a matching bag. In a couple of seconds, you flip it over a chair and you can put your baby in. The fabric folds down to 8″x1.5″x6″ and weighs only 2 oz.! So tuck it in your backpack and go! With a 5-point harness and extra strong seams, your little one is safely tucked in. While it is fabric, it is washable and thus convenient to keep clean. My Little Seat travel high chair can be used for children from 6 months until 35 pounds. It is available in 8 beautiful patterns and colors. The Totseat Chair Harness has all the advantages of a fabric harness travel high chair. Tie it easily around a chair, put your baby in and you can have lunch. The machine washable fabric fastens with quick clips instead of knots. Furthermore, the fabric goes up over your little one’s chest, adding to the safety the 3-point harness already provides. With measurements of only 7.1″ x 5.2″ x 2.8″ (18 x 13.2 x 7.1 cm) and 9.1 oz (259gr), you can tuck it in a diaper bag or backpack anytime. The Totseat Chair Harness works for children from 8-30 months and is available in 3 colors (blueberry, chocolate chip and Zest). Check out the latest prices and more reviews! The Portable Infant Safety Seat is another one of the fabric harnesses you can use as a travel high chair. The seat works the same way as the other two mentioned above and goes up onto the chest as well. Your child is safely secured with the 3-point harness. This travel high chair folds down to a compact 7.2″ x 6.2″ x 4.1″ (18.3 x 15.7 x 10.4 cm) so you can fit it into your diaper bag. At 8 ounces (227gr) it is the lightest of the three. The special feature of this fabric cover high chair is that it is reversible! The other side has a different pattern so your toddler can choose which ones they prefer or if you had no time to wash it, just reverse it and go. The baby-to-love portable fabric high chair can be used for children from 6 months to 33 lbs and is available in 4 funky patterns. 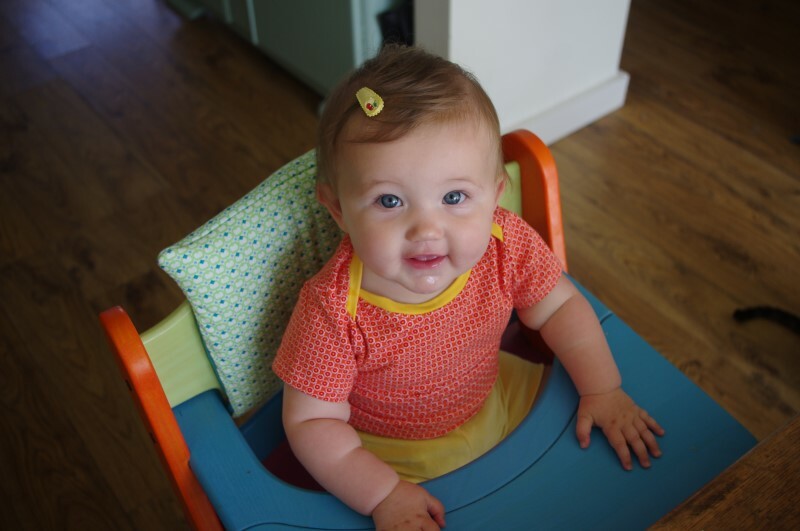 We are absolutely in love with the Inglesina clip on high chair. First of all, the portable baby seat for table is 100% polyester, making it very easy to clean. The Inglesina high chair cover is removable and can be hand washed as well. The twist-tight couplings are adaptable to most tables up to 3.5 inches thick (9 cm). As you can see on the pictures, the manufactures of the hook on high chair kept your baby’s comfort in mind, which shows in the lifted backrest and a firm seat. As a parent, you’ll love this hook on chair as well. There’s a handy rear pocket and the carrying bag is attached at the bottom of the seat. That way your child gets extra padding, you can’t lose the bag and you just pop it out and cover the clip on table high chair for easy transport. Furthermore, the portable stool for travel only weighs 4.2 pounds (1.9 kg) and folds flat to 14″ x 17″ x 4″ (35.6 x 43.2 x 10.2 cm), so it’s great both for plane and car travel! The Inglesina chair is suitable for children from 6 months up to 37 lbs (16.8 kg) and is available in 9 beautiful colors. If you prefer this portable highchair with tray, you can buy it here. Buy this hook on baby chair here! The Mountain Buggy high chair is another hook on table high chair that you might want to use on your travels. It is suitable for most tables (up to 2″ thick). The hook-on chair has an aluminum frame with padded back support and aluminum clamps with anti-slip grips pads. Most noteworthy is that all that aluminum makes sure the travel high chair is extremely lightweight. It only weighs 2.2 lbs (1 kg)! Furthermore, it folds completely flat to 12.2″ x 13.4″ x 1.5″ (31 x 34 x 3.8 cm), which fits in a backpack or diaper bag. The accompanying carry bag makes transport and storage a lot easier. The Mountain Buggy Pod is safety certified in Europe, USA, Canada, and Australia/New Zealand. The Mountain Buggy Pod Clip-on chair can hold children up to 33 pounds (15 kg) and is available in 3 colors (red, grey and lime). If you are looking for the smallest and most lightweight portable child seat, the Mountain Buggy is the best hook on high chair you will find! Buy this portable baby high chair seat here! The Chicco portable high chair is one of the most popular hook on chairs. It is easy to attach to tables from 0.75 to 1.5 inches (1.9 – 3.8 cm) thick (and up to 5.5″ (14cm) with a table skirt – including the tabletop). You have to twist the rubberized arms to hold a firm grip on the table, but they are rather large (be careful not to bump your knee if you’re sitting close to your child). The fabric of the seat can be removed and machine washed, which is great for messy eaters (aren’t they all?). Your little one gets a lot of support because of the cushioned high-back of the Chicco table seat, while the three-point harness will keep your child safe. It is very easy to fold the Chicco clip on high chair down to a package of 14.4″ x 14.5″ x 4.7″ (36.6 x 36.8 x 11.9 cm). As this is not the smallest nor the most lightweight (5.75 pounds/2.6 kg), there are better options for international travel. However, it is still a great choice if you want a clip on baby chair for road trips, at the grandparents’ house or for eating out in your hometown. The Chicco travel high chair can be used when your baby can sit independently and up to 37 lbs (16.8 kg). The chair is available in 2 colors: red and a natural grey. A baby carrier might well be your most indispensable item when it comes to traveling with babies (or toddlers! Or pre-schoolers!). In a lot of countries, a stroller will be more of a complication than a help, while a travel baby carrier gives you all the freedom you need. You get to use your two hands to look at all those lovely souvenirs! And for those sneaky touchy little fingers: it is a lot more difficult to grab something if your little one is high up! Read on to gather the best baby carrier for travel info. 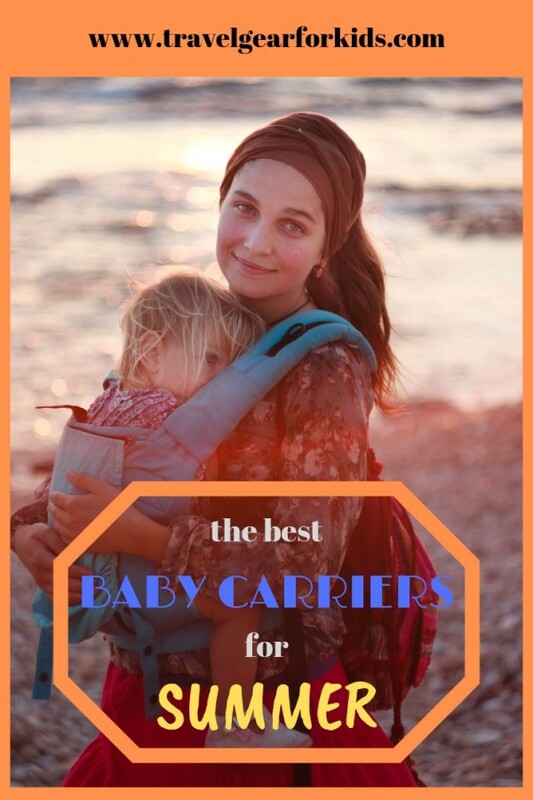 We will tell you about the different types of carriers, what you should look for and we will review several soft structured baby carriers, baby slings, and wraps, mei tai baby carriers, baby carriers for hiking and carriers for toddlers. Why would you use a baby carrier? Why would you use a baby carrier on your next vacation? How to choose your perfect travel baby carrier? A baby carrier is a device invented to safely carry your baby handsfree. Plus it’s great for bonding too! There are about a million different types and brands as it is one of the most important baby list items. But don’t worry, we’ll help you decide which one is perfect for you and your family. This kind looks a lot like a baby carrier backpack. It consists of a preformed back panel, a padded waist belt, padded shoulder straps, and adjustable strings, which add to the usability and comfort. 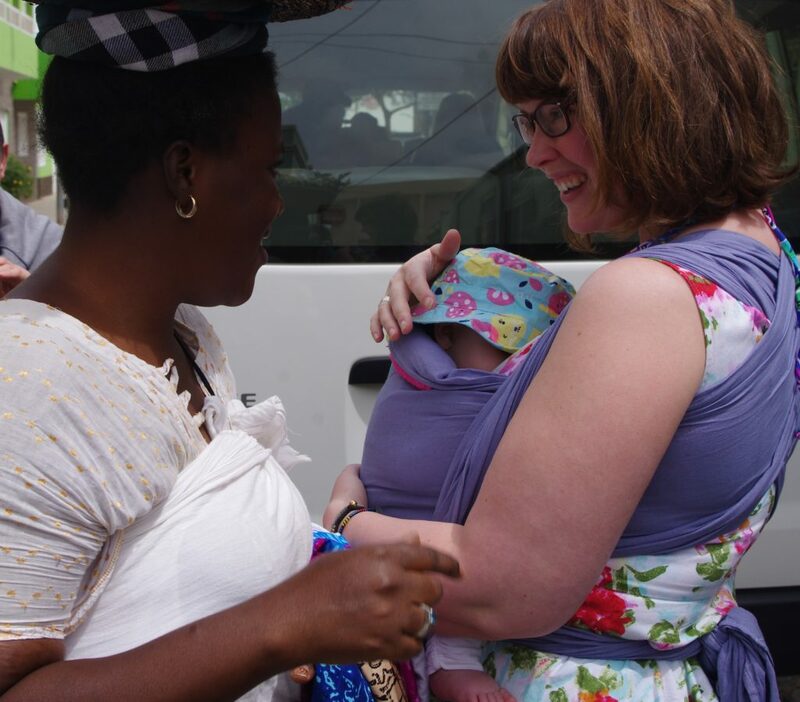 You don’t have to practice knots or anything complicated to wear your baby while you travel. By being carried your baby receives all the benefits of skin-to-skin care and it really isn’t much harder than putting on a backpack! The biggest con is that it doesn’t adapt to your child’s age. For starters, most carriers need an additional baby insert for the first 4 months (although the new generation of baby carriers is designed to adapt from birth to toddlerhood. You can read more here). Between 12 and 18 months the regular carriers will get too small and you have to trade up for a toddler carrier. But hey, it’s a good excuse to buy a fantastic new print! 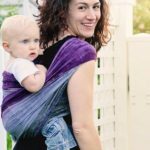 If you’re new to babywearing and you’re not really sure how you’re going to pull off wrapping, head straight for this one! A babywearing wrap is basically a 10 to 20 feet (3-6 meters) long piece of fabric which you can knot around your body. You have both stretch and woven wraps. The first type is the typical newborn baby wrap and is designed to be used in one way (despite what it says in the manual! It is dangerous to use a stretchy wrap as a front-facing baby carrier or a baby back carrier): on the front with your baby’s head facing to your chest. Because this is a carry with 3 layers of fabric, it is rather hot for your baby, so make sure he or she wears appropriate clothing. Some brands developed a cooler version of their stretch wraps, you can take a look here. Woven wraps definitely have the most possibilities when it comes to diversification. You can use them as a front and back baby carrier and as a baby hip carrier. The amount of carries is endless. Not to mention the various colors, patterns, and blends. The sky really is the limit. The biggest advantage of a baby carrier wrap is that it adjusts perfectly to your baby’s body (almost as if it were hugging it), while a SSC is performed. The biggest con, on the other hand, is that it takes some time to get used to, you have to get it into your fingers. Another big con for traveling is that a 15-feet piece of fabric takes up quite a lot of space in your suitcase. Wraps come in sizes, depending on what kind of carry you want to use combined with your own size. Most people get along fine with a size 6 for the most standard carries. Click here to learn more about wrap sizes! A ring sling has all the benefits of a baby wrap, but as they usually come in one size and a with lot less fabric, they take up less space in your suitcase! 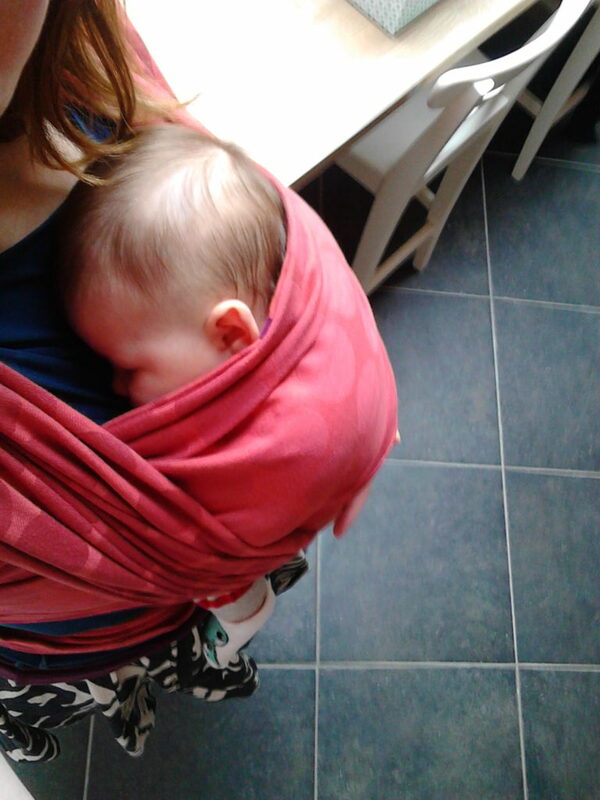 The most important benefit of a baby ring sling is the grab-and-go feeling. You just put them over your shoulder, put in your baby, tighten the loose fabric and of you go. Because you put a baby sling over one arm, however, all your baby’s weight will come down onto that shoulder. With a newborn, that won’t be much of a problem, but with a toddler, it will start to strain. That’s why a ring sling baby carrier isn’t the best for long distances and extensive carrying (f.e. hiking). However, it is one of the best baby carriers for traveling when you’re going somewhere hot and you want to be handsfree for a bit without too much effort. Most babies are a big fan as well because they have a great view sitting on your hip. TIP: In this article, we’ll tell you more about the best baby carriers for hot weather. A mei tai baby carrier is a traditional Asian ergonomic baby carrier that looks and feels a lot like a woven baby wrap, but with the easiness of a structured baby carrier. The back panel is performed like the back of a structured carrier. Adjusted to that panel are usually 4 pieces of fabric. The bottom two are meant as the waist belt and the top two are the shoulder straps which you should cross at your back and tie under your baby’s bottom. A half buckle carrier is very similar to the mei tai’s. The only difference is the buckled waist belt. Like a full buckle carrier, there is a preformed waist belt that you tie around your waist and buckle up. The shoulder straps are pieces of fabric that you can tie around your baby. Some people feel like they can’t get the knot of the mei tai waist straps hard enough to offer full support. A half buckle saves that problem, while they still give the comfort of a woven wrap. Both the mei tai carrier and the half buckle baby carrier can be used from birth without an insert and they don’t take up that much luggage space! A lot of people love the mei tai carriers and half buckles because they are the perfect combination of the easy child carrier backpack style with the comfort of a wrap carrier. The onbuhimo baby carrier is an originally Japanese buckle carrier that has no waistbelt. That’s right, you carry all the weight of your baby on your shoulders! Because you don’t have the shared support on your hips, the onbu can sometimes get heavy on the shoulders, especially with bigger babies or toddlers. However, it is wonderful when you are pregnant and your belly has all the space in the world! For people who don’t like or can’t stand a waistbelt, an onbuhimo carrier is a very good alternative to the regular buckle or half buckle carriers. When you would like to carry 2 children together (tandemwearing), it is a great choice as well. With an onbuhimo, front carry is not recommended! Your baby has to sit really high (they should be able to look over your shoulder) and on the front, you just can’t get them high enough. The pressure on the neck increases when you wear your child too low. Better safe than sorry, so only back carry it is! The lack of waistbelt means that the onbu is very small and lightweight and thus easy to transport: perfect when you’re traveling. An onbuhimo carrier can only be used when your child can sit independently. When your child is big enough to stand, it is super quick to put on. This makes them a good companion for shopping trips, on and off the bus hopping etcetera. You might want to consider an onbuhimo toddler for bigger kids that love to switch between walking and being carried. It is not a secret that babies love to be cradled and held close to their caregivers. Yes, you can hold them in your arms, but that may get tiring quickly. Putting them in a carrier will give you the freedom to do the things you like, while your little one still gets that closeness they crave. Moms, dads or other caregivers aren’t the only ones who benefit. Carrying your baby has a positive influence on their physical, emotional and intellectual development. They will, for example, pick up speech quicker because they are included when you are communicating with other people. Being in an upright position does wonders when it comes to reflux and cramps. Research shows that babies who are carried often, cry 40-50% less (source)! Wearing your baby makes it easier to breastfeed and/or spot the early hunger signs. And last but not definitely not least: carrying your child is great for bonding. 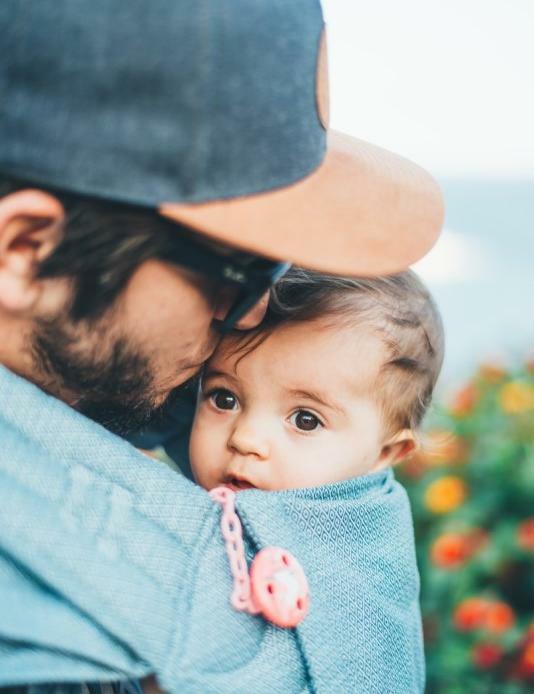 Especially for dads, non-biological mothers, grandparents and the rest of your baby’s family, it is a fantastic way to connect with that tiny little human. 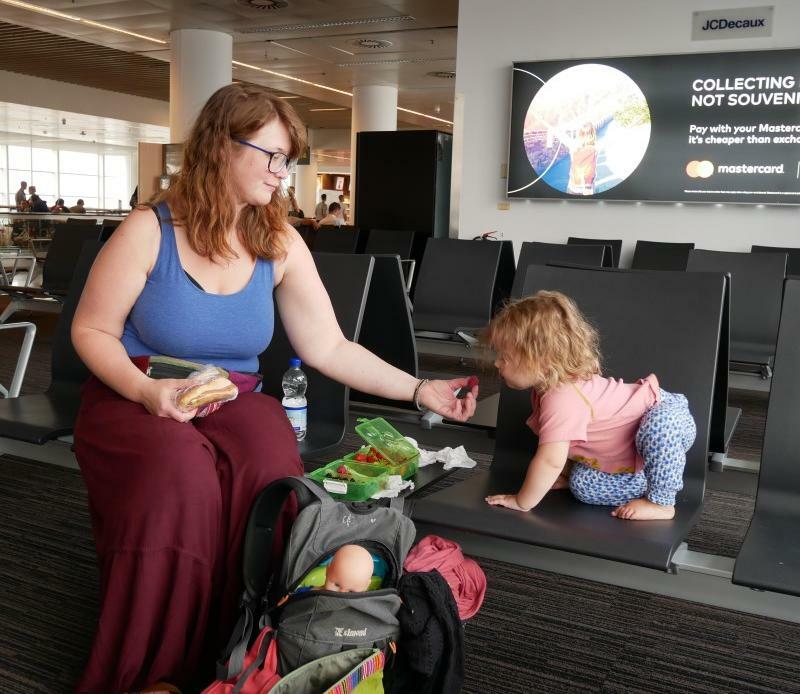 Apart from the benefits listed above that evidently still apply when you’re on holiday, there are some very distinct advantages to babywearing while traveling. Everyone who regularly carries their child will confirm those baby carriers usually come with sleepy dust. It might be the closeness and steady beat of your heart or the rhythmic bouncing when you walk, but kiddo’s tend to fall asleep in a carrier. This is great news for you if you want to explore your destination without trying to plan everything around nap time. You may already benefit from the very start of your trip. Getting a baby carrier for plane travel is actually a pretty good plan because it is so much easier when you have to go through airport security. Usually you can even keep your child in the carrier, but in the worst case scenario, you’ll have to take them off for a few seconds. It’s such a relief to be hands-free when you have to grab all your stuff, shoes, laptop and boarding passes in a hurry. Flying with a baby or toddler is always a little scary. Nobody wants to be “the ones with the screaming child”. If your little one doesn’t want to go to sleep, you can put them in the carrier and walk little circles at the back of the plane (been there, done that). Many cities in the world aren’t stroller friendly. Trying to maneuver around holes in the road or loose stones on the sidewalk isn’t stressfree at all. Furthermore, many attractions won’t be accessible with a stroller. Think for example about visiting Mexico’s ancient temples or walking along the cliffs of the Isle of Wight. You’ll be way better of if you take your baby carrier. Other moments when you’ll be the biggest fan of babywearing on holiday are, when you want to use public transport or when you have to walk through a lot of people, for example on a busy (night/food) market. If you are convinced that a carrier is indeed a good idea to take along on your next trip, let’s take a look at the characteristics of such an item. There is not just one absolute best baby carrier. The one that is best for you depends entirely on your preferences. It is best to try a few first. It all comes down to your preferences. Do you want a carrier that grows with your baby from birth to toddlerhood? Do you want it to be in wrapfabric? Or do you only want one with a cute pattern that is easy to put? When buying a baby carrier for traveling the most important thing is to make sure it is an ergonomic one. There are plenty (well-known!) brands selling non-ergonomic carriers. You can recognise them by the hanging legs and the hardback panel. This is not only less comfortable for the person carrying, but for your child as well! The term often referred to is the M or frog-position, which is basically that the bottom should be lower than the knees while the fabric offers knee to knee-support. This is the ideal position for your child’s hips. The second thing to be aware of is the natural C-curve of the spine, the way they used to sit in the uterus. Putting a baby in a more upright position is not only unnatural but causes a lot of pressure on the spine! This happens when you use a carrier with a hardback or when carrying your baby front facing out. Look at that C-curve of the spine! Here at Travel Gear for Kids, we firmly believe in ergonomic babywearing, that’s why we won’t be listing any brands that offer otherwise. We do not recommend outward facing positions on this website because they are usually not ergonomic. By that, we mean famous brands like Babybjorn or Chicco. The forward facing baby carriers that are listed below are, however, in fact ergonomic. Just make sure you wait until your baby can sit unassisted and has sufficient neck control. On top of that, be aware of over-stimulation! Turn your baby in time back to you for comfort and rest. If you want to read more about the reasons for not wearing your child in a front-facing baby carrier, click here. The first would be the possibility to adapt the carrier for the caregiver. Especially when sharing the carrier with another person, it is important to choose an easy adjustable baby carrier. Wraps, ringslings and mei tai’s are not performed at the hips and shoulders and because of that, easy to swap. Secondly, it might also be important for you to adapt the carrier for your baby. As wraps and ringslings will form to your child’s body, there is no reason to adapt. They will always offer ergonomic support. The only reason to stop wearing them is that it gets too heavy for the caregiver. Baby carriers with a preformed back panel, however, can’t adapt to the baby’s body. Brands as Tula, Ergobaby, Lillebaby and Boba invented a special SSC that you can manually adapt to follow your kid’s growth. That way you can transform your infant baby carrier into a carrier for toddlers. It is important to ask yourself what kind of support you need. You won’t have a problem carrying a 7 lb (3kg) newborn in a stretchy baby wrap, but when they get heavier, the wrap will sag a bit and that strains your shoulders and neck. A stretch wrap doesn’t offer enough support for the majority of the people. The same goes for a woven wrap. It supports a lot more, but when you get a bigger child (2+), most people find that it becomes a little too heavy for long distances and well, your toddler usually wants to go up and off a lot of time. Unless you’re a carry wonder that can tie a wrap in a couple of seconds, a (partly) buckled carrier or mei tai might be preferable. A soft structured carrier usually offers the most support for the person carrying. Some people prefer a SSC with crossed shoulder straps to adjust the weight more on their upper body. You might want to take a look at the waist belt as well, some are more or less padded than others. The ergobaby for example offers a thick and stiff padded waistbelt, while the Wompat comes with a soft plush padding. As much as I’m in love with the gorgeous design of our Wompat, I only used it twice because it doesn’t offer enough support. The Ergobaby original marine was used every day from 4 months until 18 months. 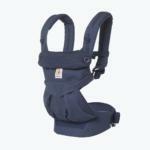 The Ergobaby Original Marine with a large stiff waistbelt that offers wonderful support! Every type of baby carrier for traveling has its options when it comes to fabric. 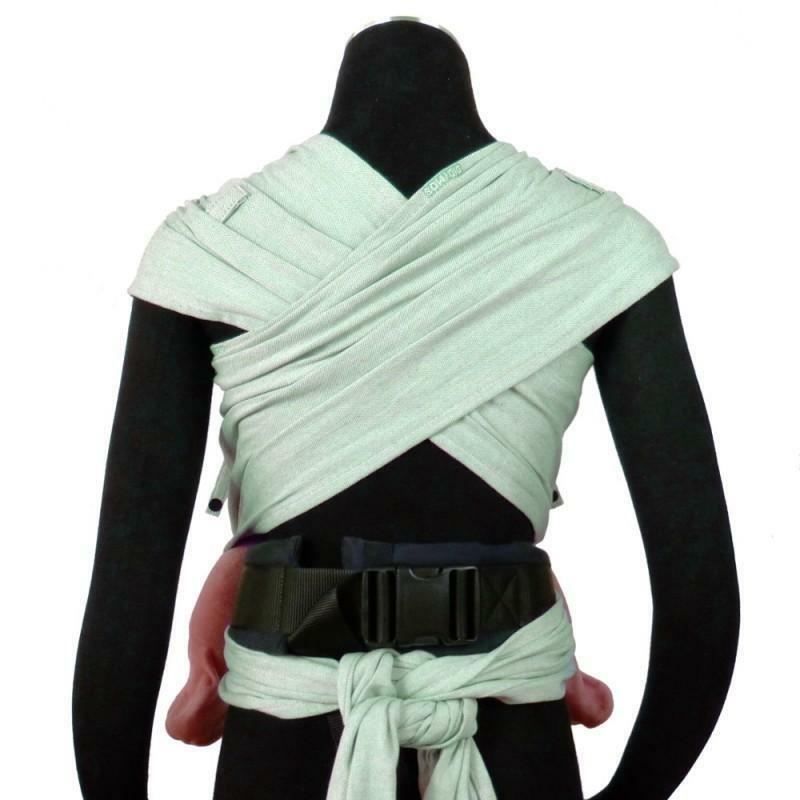 A wrap, sling and mei tai are made out of wrap fabric. This is a very strong kind of fabric that allows your child to really sink in comfortably. Most are made out of cotton or a blend with bamboo, silk, wool or linen. A soft structured carrier is usually made out of more regular fabric, but sometimes you have wrap conversions too (an SSC made out of wrap fabric). The safety is probably the most important feature of your baby carrier for traveling. You don’t want anything that is unsafe. So always, always make sure the baby carrier is tested and approved for babywearing. Furthermore, pay attention to the size and the minimum age the carrier requires. A newborn needs a lot more support than a 2-year old. Your choice may be influenced by the accessories that usually come with a soft structured carrier in contrast to other forms of babywearing. A sleeping hat and pockets can come in handy. Some wraps or slings come with a carrying bag. Ask yourself if any of these add-ons are indispensable for you and your family? We’ve listed the best-rated baby carriers for you, divided into the 5 main types. Every type of carrier has its own comparison chart so that you can easily check those features that matter to you. This is about as famous as a baby carrier can get! 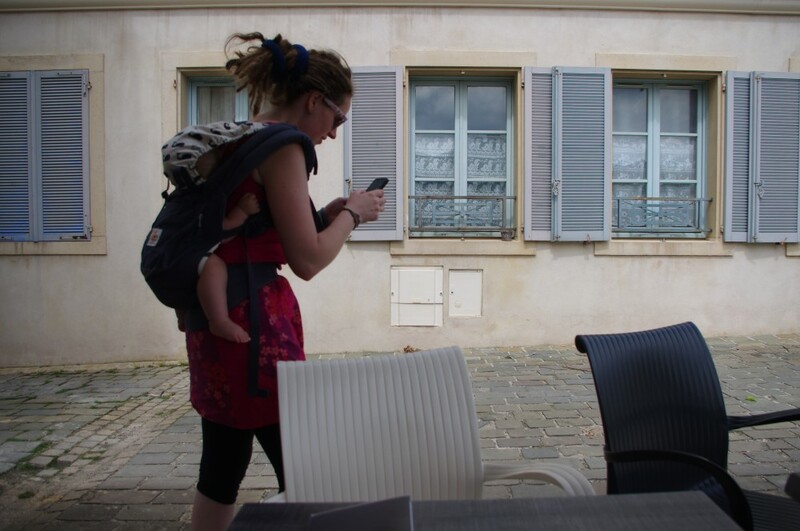 An Ergobaby travel carrier will get you and your baby anywhere you want to go. They are well-made, sturdy and pretty. As it is one of the most popular brands of soft structured carriers in the world, you can rest assured that they are more than decent. The hardest part will be deciding which type you want! 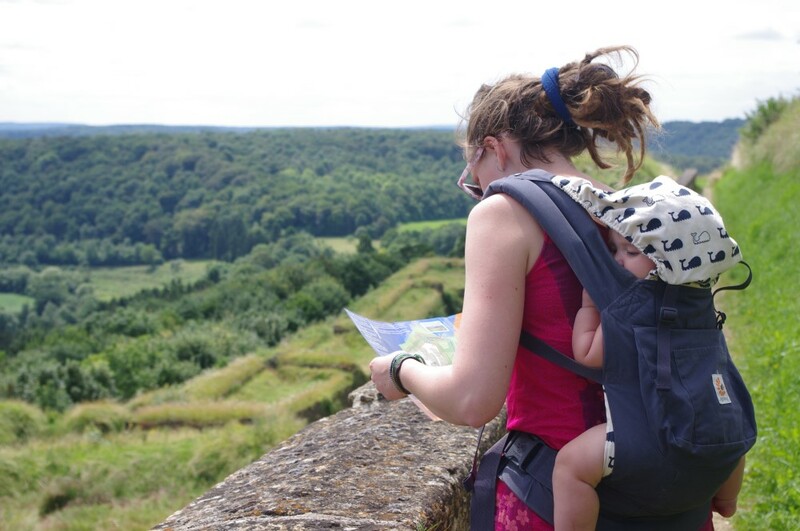 The Ergobaby Original baby carrier is a real asset when it comes to any travel gear for kids. The extra padded waistbelt and the shoulder straps are super comfortable and can, furthermore, accommodate petite to larger body types. This makes sharing easier! This baby carrier allows you to carry on the front, the hip or the back starting from around 4 months, or you can use an infant insert for your newborn. Made out of 100% cotton, it is machine washable, so get your hands on those yummy exotic fruits! An extra big plus for the XL zippered pocket and the UPF 50+ babyhood. The Ergobaby Original can be used for newborn babies (with the insert) until 45 pounds and is available in a whole range of colors. Every type of Ergobaby is available in a cooler mesh baby carrier. However, the Ergobaby performance (which is the summer version of the original), is no longer available on the Ergobaby website. At the moment you can still by one on Amazon. 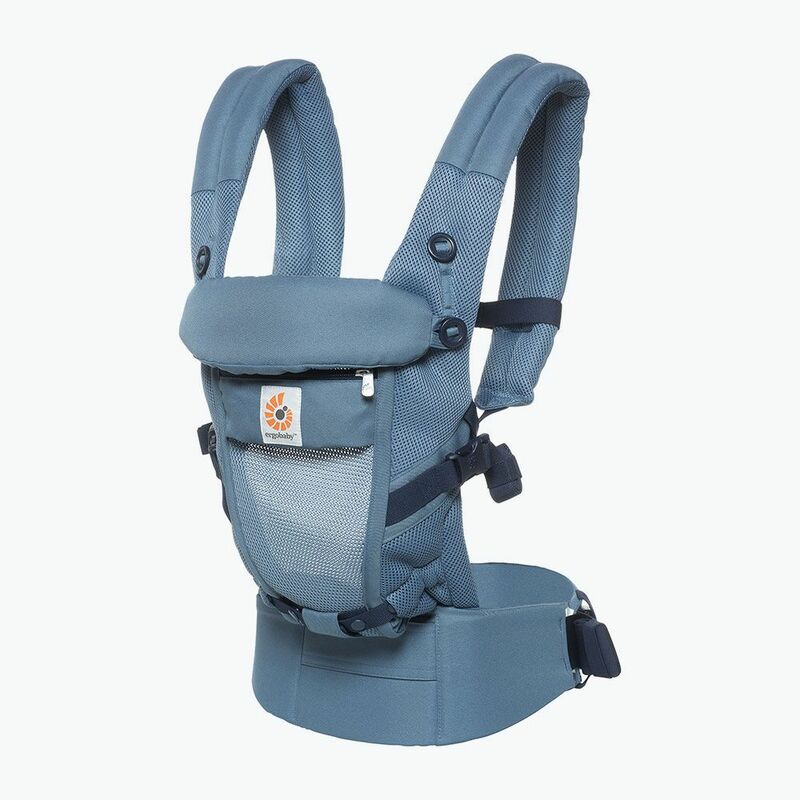 Click here to check the price of the Ergobaby Performance carrier. Or check out more summer baby carriers in our article on the best baby carrier for hot weather! 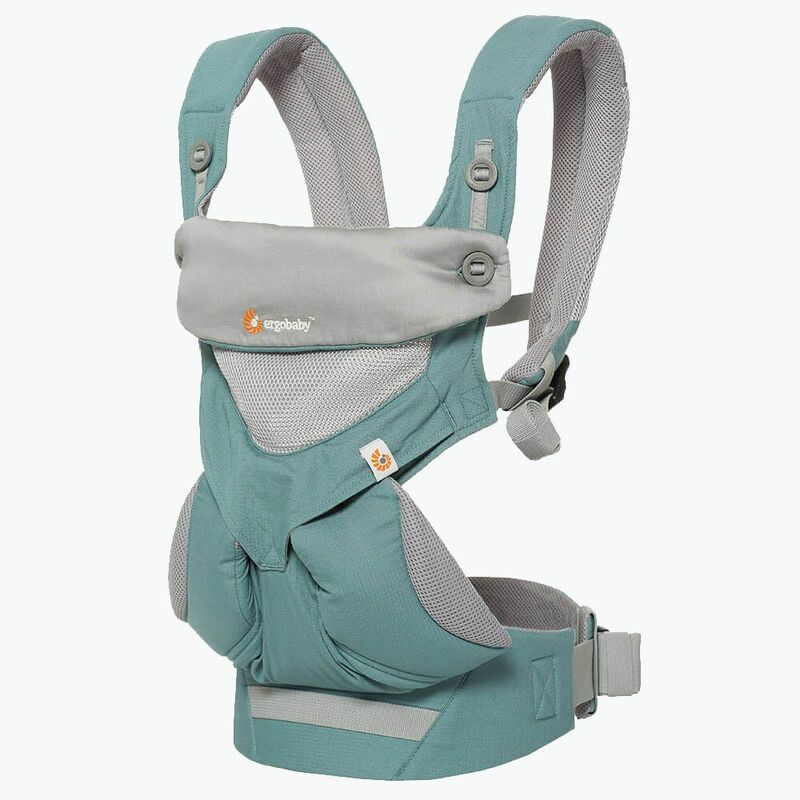 The ergo baby carrier 360 All Positions has all the features of the Ergo Original such as the extra thick waistbelt and the big zipper pocket. As the name states, it added the possibility of wearing your child on the front facing outward. This way your little one can look around. The Ergo 360 carrier was voted Mom’s pick Best of 2018 by Babycenter. It is available in 9 colors including the limited edition natural linen design. The Tula baby carriers are famous for their collection of colorful designs. 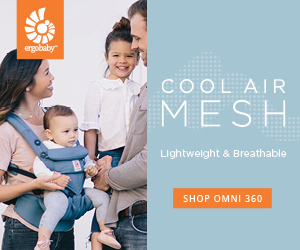 They offer standard ergonomic carriers, mesh baby carriers, carriers that adapt to your growing child and they even have a new collection with an outward facing baby carrier. On top of that, they even offer half buckle carriers, woven wraps, and ring slings! 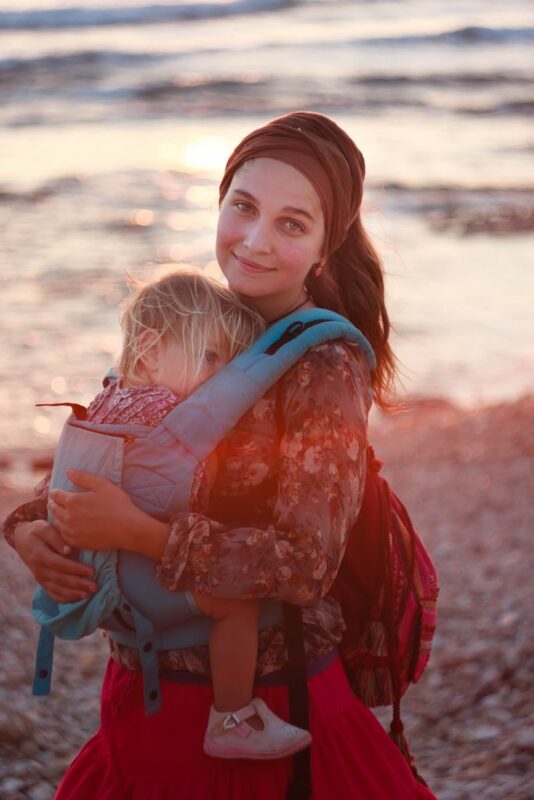 The Tula ergonomic baby carrier is another huge name in babywearing land. You don’t ever get disappointed when buying a Tula! The wide padded waistband provides all the support you’ll ever want and holds a pocket on the waistbelt for your phone, keys, and other small items. This baby carrier for traveling offers both a front and a back carry position, so you can easily spend a couple of hours walking around with your little one. The hand-made carriers are made from 100% OEKO-TEX® Standard 100 certified canvas and are breathable and lightweight. You can carry your child with a Tula carrier from 15-60 lbs or even from 7 pounds with the infant insert. The great thing with Tula is that you have 2 size options. The Tula Standard which ranges from 15-45 lbs and the Tula Toddler from 25-60 lbs for the diehard babywearing fans (or addicted little ones). The absolute biggest plus for Tula is the incredibly beautiful and diverse patterns that are available. 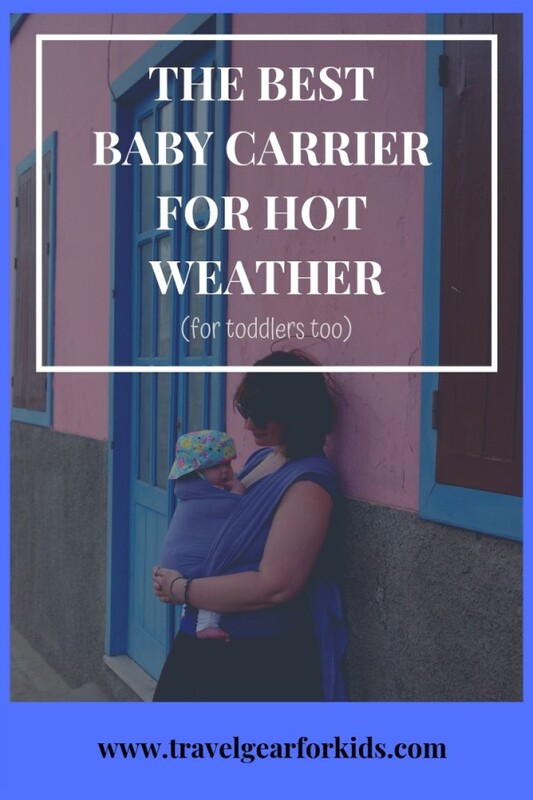 TIP: If you like the Tula, but you need a baby carrier that is more appropriate for hot weather travel, make sure to check out our article on the best baby carriers for hot weather. 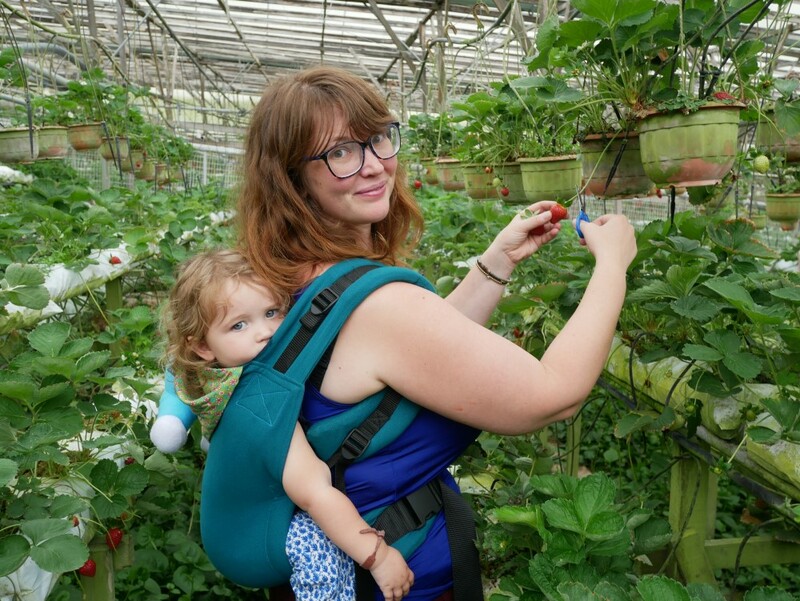 The Tula Free-To-Grow baby carrier has all the benefits of the standard Tula, but adapts to your growing child as well. You won’t need an infant insert! Due to the innovative body panel, you can wear your baby without insert from newborn to toddlerhood. The back panel adjusts in 3 width settings and 2 height settings to fit perfectly around your baby. You can use the Tula Free-To-Grow from 7-45 lbs and it’s available in a lot of nice designs (though not as many yet as the regular Tula). If you are looking for one carrier to get around, this might be your new best friend! Founded by a traveling family, what better way is there to know how the perfect baby carrier for travel should look like. Boba carriers are made from a very light fabric, which makes them very suitable summer baby carriers as well. They are definitely a great choice if you want a versatile carrier for newborns, while you are living in or traveling to a country with a hot climate. The Boba 4G baby carrier is a perfect all-in-one baby carrier for traveling. As it comes with an integrated (snap-in) infant insert, you can use it for your newborn and you can keep using it until toddlerhood. The most noteworthy for the Boba carriers are the included foot straps for older children. This is a genius invention to accommodate longer legs. Furthermore, the sleeping hood is removable, so if you never use it you can simply take it off and leave it at home. You can carry your little one on the front and the back with the Boba 4G. The baby carrier has several pockets, including one on the waist with a zipper. The Boba Classic 4GS can hold your baby from 7-45 pounds (3.5 – 20kg) and is available in a lot of different, colorful options. We’re usually not all too fond of recommending a baby carrier that is adjustable from newborn to toddler. It’s great in theory and we’re sure the fabric will be strong enough to support the weight. However, experience taught us that once upper bodies and legs start to grow, our kiddo’s won’t be all that comfortable anymore in a baby carrier. On top of that, the designers thought about the babywearers as well: the carrier comes with a 25-58″ (63.5-147cm) waist belt. This way it will fit just about anybody and makes it easy to share! An absolutely great feature of the Boba X is the seat extenders, that way even the oldest toddlers will be able to sit comfortably! As is customary for Boba, the designs are absolutely wonderful! 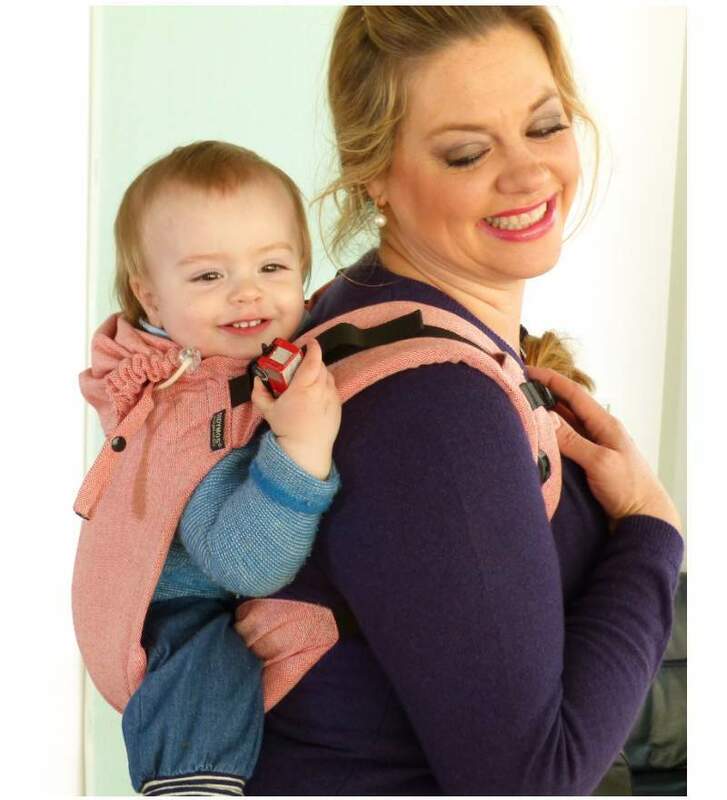 We are totally in love with this adaptable carrier and recommend it not only as the best baby carrier for newborn babies but as the best baby carrier newborn to toddler as well! It is so very hard to determine what the best baby wrap carrier is for you and your family. Woven wraps are a lot less distinct from one another, compared to buckle baby carriers. As we have stated before in the Buying Guide, the main decision-makers will be the blend, the weight, the size, and the color/pattern. This woven wrap is both lightweight and made from cotton gauze making it the perfect combination for families traveling to hot climates. It is stated quite unanimously as the best baby wrap for summer! At the end of the wrap, the designers inserted a pocket which can hold the wrap itself (very useful for toddlers that want to walk by themselves occasionally!) or some lightweight items when you are carrying your baby. The only downside of this wrap is that you need to knot more precisely, while thicker wraps tend to be a bit more forgiving with sloppy knotting. This summer baby wrap is available in size 6, size 7 and size 8. This baby carrier comes in a lot of funky designs. We especially like the Lily, but choose the one that is perfect for you here! 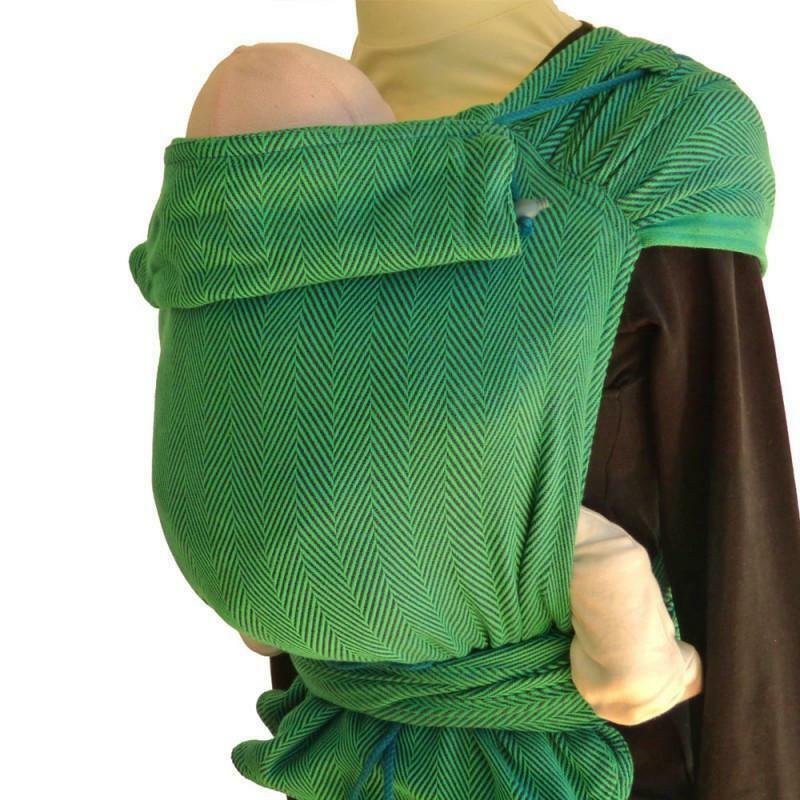 This infant carrier wrap comes with a full -length DVD to make carrying easier. Order your favorite Wrapsody Breeze here and get a $10 discount and free shipping! The Storchenwiege woven wraps are a true sight for the eye! They are made in Germany under the strictest regulations and all the cotton comes from controlled biological cotton farms. Due to a special way of weaving, the wraps are more durable and the tied knot holds better. All the Storchenwiege wraps have tapered ends for easy tying. At only 2 pounds, this baby carrier is still a perfect travel mate! The Storchenwiege wrap can be used for newborns as well as toddlers. The gorgeous fabrics are available in 5 sizes (size 3-7) and 20 amazing colors. Click here to choose your favorite color and design! What about this beautiful sling from Pura Vida! This incredible ringslings are made from a super soft bamboo a linen combination. Because it is no pure linen, it won’t scratch your baby’s back but instead, make the softest little shelter for your tiny one. Unlike many other wraps and slings, it is soft from right out of the box. Extra points for this fantastic sling is that you support a charity by buying this ringsling. 5% of the profits go to CEPIA, a charity that supports low-income families in Costa Rica. Oh, and did we mention you get a lifetime guarantee? Pricewise you don’t get to complain either! The only minus is that the Pura Vida Sling is only available in 2 colours: black and natural. But they’re stunning nonetheless. Check them out here! The German brand Storchenwiege does not only sell woven wraps, but they produce slings as well. As stated above, the textiles are made under strict environmental rules. Because of a special weaving technique, they are more durable and comfortable. This one-size-fits-all weighs only 1 pound, making it a very good travel companion. As other ringslings, you can use the Storchenwiege from birth well into toddlerhood. Click here to choose your favorite one! The Little Frog Ringslings are just as pretty in ringsling as they are in woven wraps. This affordable brand offers safety certified baby carriers in funky colours. Check them out here! Like the Beachfront Baby Wrap, the Ring Sling is specifically designed for hot weather and water use. The mesh fabric is lightweight and the aluminum rings guarantee safe carrying. If you would like an all-in-one ringsling for your beach holiday, this is your perfect choice! It can hold children from 8-30 lbs and is available in 3 sizes: a standard, a petite and an XL (depending on your t-shirt size) and a whole bunch of different colors. Choose one and start planning your trip! The Maya Ringsling is the last item in our ringsling-list. The baby carrier is made out of 100% hand-woven cotton and has a lightly padded shoulder, which adds to the babywearing comfort and helps spread the fabric on your back. As with the other ringslings, there is no complex wrapping involved, you simply put in on and pull the long tail. You can carry your baby on the front or on the hip. The ringsling fits in your diaper bag and has a zippered pocket for small essentials (you can even put in a cloth diaper!). The long tail is convenient for nursing or cover. The Maya ringsling can be washed in the washing machine in cold water. The carrier is suitable for babies from 8 pounds up to 35. It is available in a multitude of colored designs. We are very much in love with the Bright Stripes, but you can pick your favorite one here! The Didymos wraps and Mei Tais are made from wonderfully soft organic cotton and are super comfortable. True, they aren’t the cheapest on the market but what you get in return is babywearing in heaven! 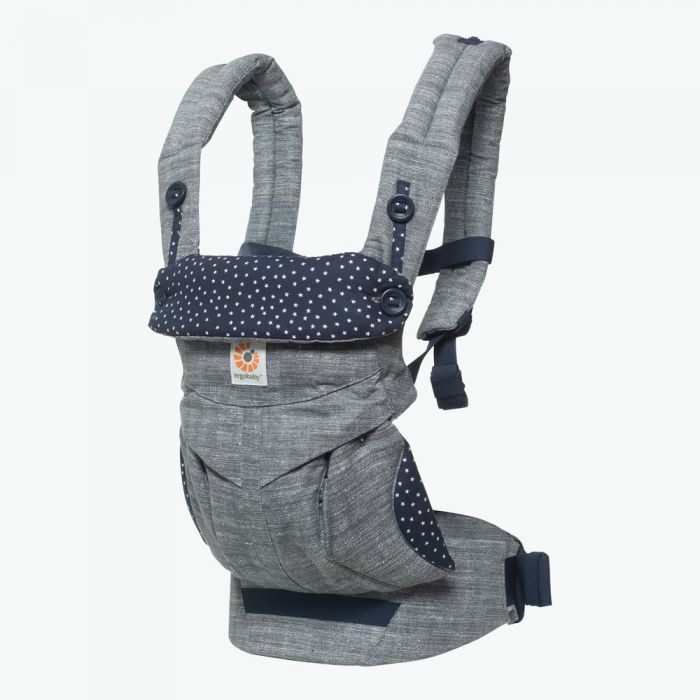 The Meh-Dais have the convenience of a full buckle carrier, but you still get the feel of a wrap which makes for a perfect combination. Furthermore, they are fully adjustable so you can easily swap between caregivers regardless of the person’s shape or size. You can wear your baby on the front, the hip and the back from birth till pre-school age. The Meh-Dais are made from organic cotton are dyed with safe and non-toxic dye. They are manufactured in Germany and Austria with only the highest quality materials. And last but not least, they come with a 3-year warranty. It’s easy to get lost in the many beautiful fabrics of Didymos, so make sure to check every print and color option. We especially love the Ada Tourmaline, the Ada Malachite, and the Lisca Pastell. Click here to see more options! 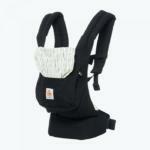 The Infantino Mei Tai is another great buckle-free baby carrier. The long shoulder and waist straps make it easy to get your child into a super comfy position. It’s great for any size parent, as the waist strap fits anyone between 22-56 inch (59-142 cm). The extra wide padded straps add to the comfort for the babywearer. The infantino comes with a detachable hood, which is useful for the sun or to sleep. 3 carrying positions are available: front, hip, and back. Oh, and did we mention it’s really affordable? This baby carrier is suitable for children from 8-36 lbs (3.6-16.3 kg) and is available in 2 pretty designs. Check them out here! The Moby double tie is not an actual Mei Tai, but more of a soft-structured baby carrier without the buckles. 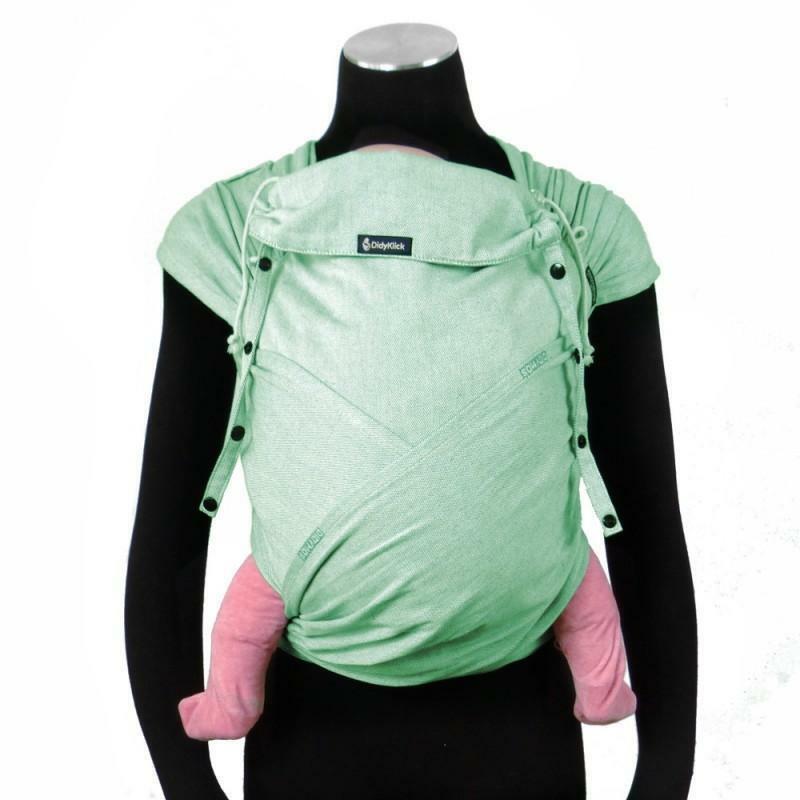 It has straps on both shoulders and waist to tie the carrier and it’s a one-size-fits-all. You can carry your little one on the front, the hip and the back. As it is so lightweight, you can stick it in a diaper bag or backpack and trail it along. The Moby double tie is machine washable. This baby carrier can be used for children from 8 to 40 pounds and is available in 2 patterns: Secrets of Salvador (black) and Blissful in Brisbane (grey). Click here to take a look! Felicity is mum to her two daughters, Cassandra (3.5) and Vivienne (18 months) and baby number three on the way. Her passion is the parenting industry and creating a community where everyone feels welcome no matter how they choose to parent. It is this passion that led to the creation of her parenting blog The Baby Vine. Pre-kids I loved to travel. I had a bucket list full of endless ideas and amazing places to visit and I lived it. I caught the travel bug straight after school. I took off to Kenya where I worked in an orphanage for a month before embarking on a camping safari. It was incredible to say the least and I was already planning my next trip before my feet had even touched down back in Australia. Of course, life always has other plans and I knew university had to take a front seat for me. While I was very academic at school, university just wasn’t my thing. Maybe I had burnt out or something? Instead, I sledged through the three years, planning my next escape, and it was going to be a big one: I decided to pack up and move to London. Honestly, what better way to see Europe than having a base there? My brother and sister-in-law already lived over there, so the move was easy – and it was the best thing I ever did. I got myself a job as a nanny to fund my adventures, and took off on weekend trips to Italy, France, Madrid, Poland… as soon as I got back the next trip was being planned. I even worked for another family as a travel nanny for a month and went and visited Ireland and Portugal (though that was an entirely different experience). After almost two years, with a visa that was ready to expire and a full passport, I knew it was time to start thinking about moving home. I always wanted to settle in Australia – that was always the plan. But I didn’t want to rush into things, so instead I booked in a three-month stint in South America, working in an orphanage for two months this time and then travelling around for a month. In hindsight, it was my last hoorah. I moved back to Sydney, met my future husband a few short months later, engaged two years later, married a year after that and then our first daughter just a year later. We now have a three-year-old girl, 18-month-old girl and a baby boy on the way. Life has been busy. But the travel bug has never left. We tend to keep it closer to home these days. We have dreams of taking the kids to America and Europe when they are older, but we aren’t so keen on facing that long plane trip just yet. 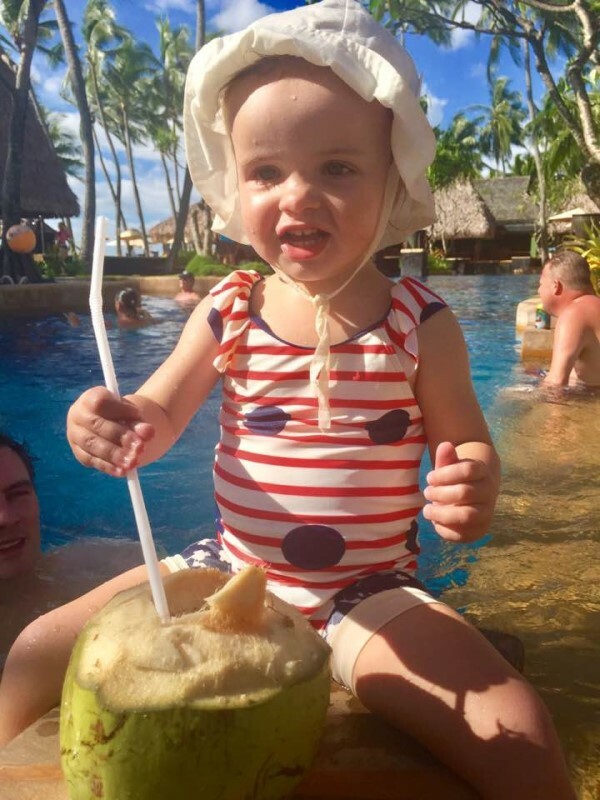 Coconuts and a pool, what more can you wish for? 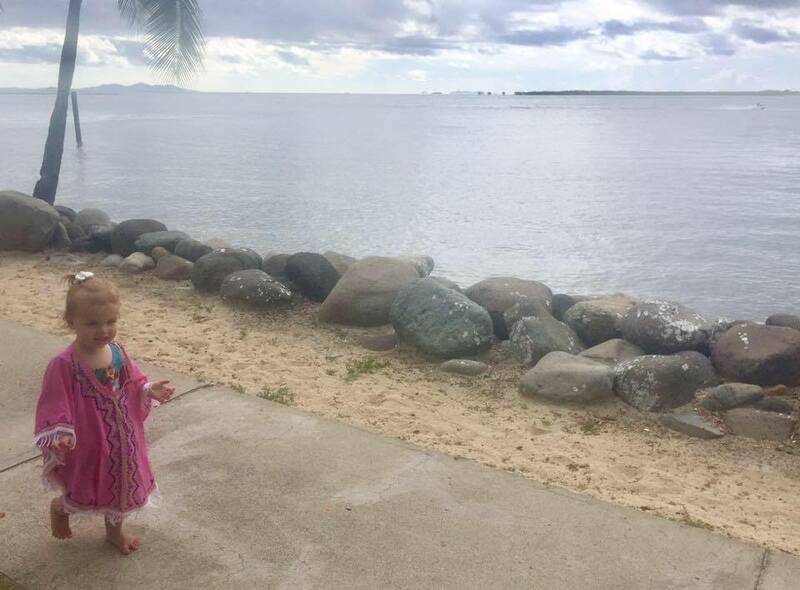 Our first trip was a road trip when Cassie was just 8 weeks old around Brisbane and this was followed up with Fiji when Cassie was 18 months old. Since then, we have taken both girls back to Fiji and are heading there once again when our latest addition arrives. What can I say, endless beaches, cocktails by the pool and cheap nannies have all drawn us back again and again. Solo travelling with 2 kids! I have also done plenty of solo travel with the kids around Australia. Working part-time affords me the luxury of being able to take off when pleases. We have been to Brisbane, Melbourne and back to Brisbane again – and while it can be tough wrangling two kids on a flight, it is entirely worth it. My three year old still talks about those trips and the memories we made on them. Always pack a carrier for the airport for little kids. Even just getting on and off the plane you are going to need hands, and while you can often bring the pram up to the gate with you, it can’t go further than this. Travelling solo there is nothing worse than having two kids and luggage and not being able to cart it all. TIP: Take a look here to find the best baby carrier for travel! Invest in a good cover for the pram. Sure, you can use blankets, but something like the Cozigo is much more effective. It folds up small, can be used on the bassinets on planes, and fits on most strollers. 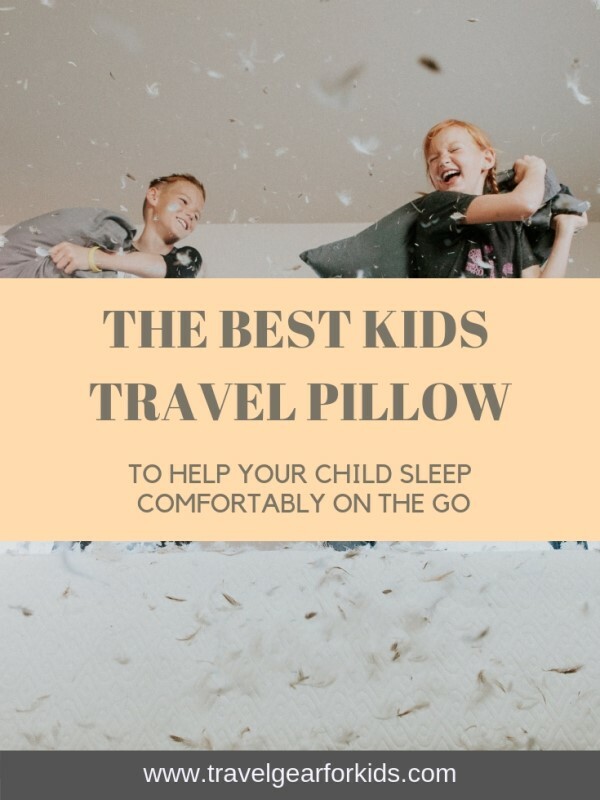 When you are travelling, kids often need to sleep on the go so you can get out and do things, so it’s important to make this as easy as possible for them. TIP: Click here to see our article on the best lightweight travel stroller or buy a pram cover here. Prepare a special bag for older kids. Make them responsible for it and fill it up with snacks and things to keep them busy on the flight. Cassie loved being able to help herself to food and also to find different things to play with to keep her busy, which meant I could focus on Vivi. Have transport arranged at the other end. In my solo travel days I used to just wing it. Now, with two children and a third on the way, I am not even sure what that phrase means anymore. When you arrive at your destination with tired and excited kids, you just want to make it to your hotel room as quickly as possible – and while it may cost more to book beforehand, it is so worth it. Not everyday is all sunshine and rainbows when travelling with kids, but it is all so worth it! 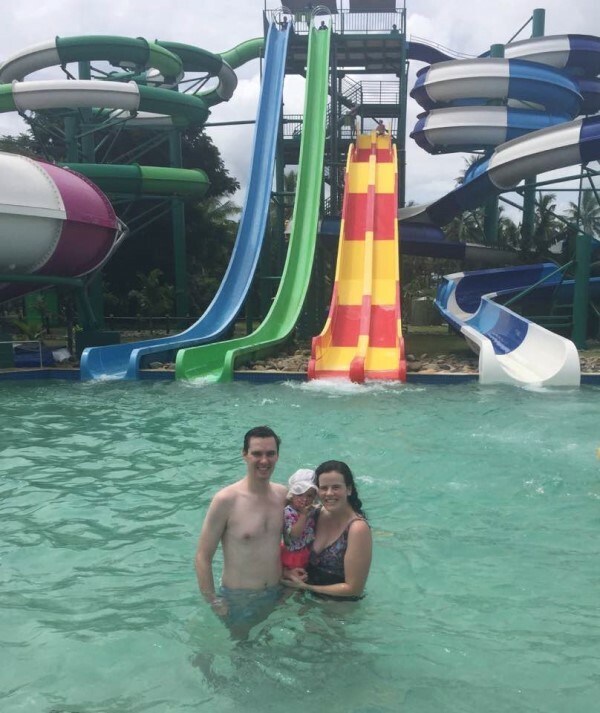 Each year brings a new trip for our kids and a new learning curve for us as we juggle extra kids (adding to our family), and work out their needs as they get older. The biggest thing is to be prepared. 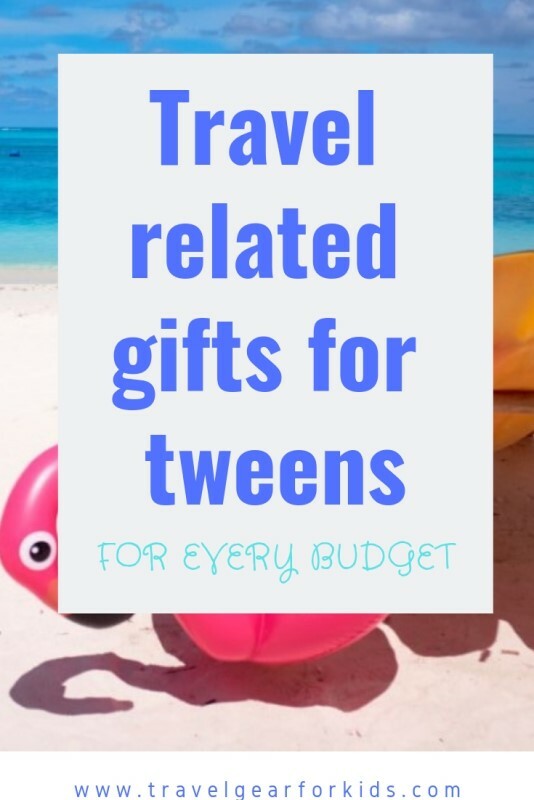 Buying gifts for tweens might not be the easiest thing to do, however, when said tween is into traveling, there’s a whole new world opening up. We’ve selected the best travel gifts for tweens that will spark their wanderlust! A passport cover is one of the best tween gift ideas for a 10 or 11-year old who loves to travel. It looks great while it’s still practical as it offers protection for their most important document. And adding their name to the cover makes it even more special! Fuel their wanderlust and let the adventure begin! A kids’ travel journal is a great way to remember all the cool stuff and adventures from a trip. It helps improve writing skills and documenting experiences. A travel journal is definitely on the list of road trip essentials for tweens! TIP: Check out this blog for some FREE kids travel journal printables! What better way to pass the time than with a travel game. Especially when it’s as educational as it is entertaining, travel games are fun gifts for tween boys and girls! Looking for popular and cool Christmas gifts for tweens? If your tween already owns a smartphone, a lens kit for that smartphone might a good idea! You just clip them onto the smartphone and you’re able to snap pictures with a macro or wide-angle lens. Headphones are one of the best gifts for tweens especially for one that loves traveling. Every tween needs a moment for themselves, whether that’s passing the time with a movie or just chilling with some music. Noise-canceling headphones for tweens are great for some peace on long travel days as well. Definitely a cool gifts for tweens idea! This is one of the best travel accessories for tweens! If you would like to give a more practical present, travel neck pillows are great gift ideas for tween girls and boys. We all like to get some sleep when traveling on a plane, bus or train and tweens are no different. Gift them with a good night of sleep by giving them a comfy neck pillow. Click here to read our in-depth article on the best kids travel pillows. Travel information books are top gifts for tweens and a great way to get to know the world! 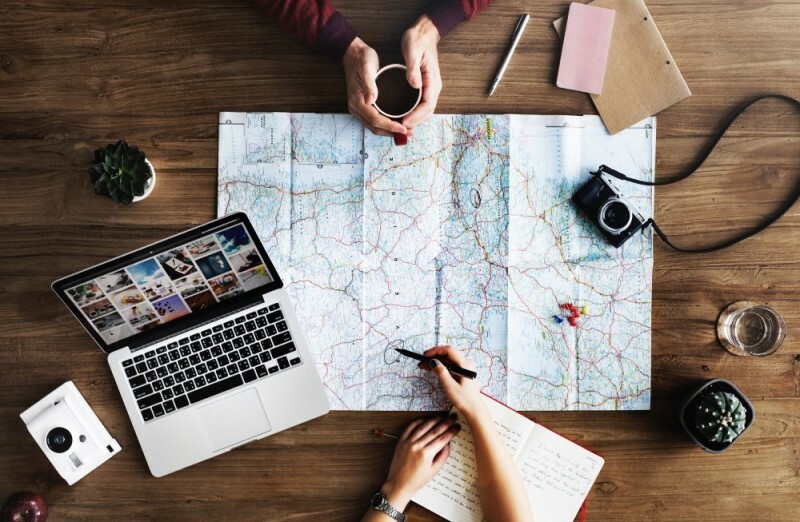 It’s useful to get into travel modus before the trip, but they can also bring it along and teach the rest of the family some interesting facts about the destination. But don’t limit it to non-fiction. Youth adventure books with a setting in a foreign country are great gifts for girl tweens and boys too of course! For example the fantastic The Mapmaker Chronicles series! Click here to buy The Mapmaker Chronicles Book 1 on Amazon! Every kid wants to bring their own backpack! It’s perfect to store their toys, a tablet, and other personal stuff. And it’s multifunctional: they can use their backpack for travels, but also for school or afterschool activities. A backpack also works perfectly as tween carry on luggage! If you want to splurge, your tween will be more than a little excited with a Nintendo 3DS. A game console is a great alternative for a tablet if you don’t mind some screen time every now and then. The Nintendo 3DS is portable and lightweight and can easily be tucked away in a backpack. This is definitely one of the best gifts for tween girls and boys! How cool is it as a tween to get to travel with your own suitcase. Many suitcases for tweens have such amazing designs! Pick one that isn’t too large but still big enough to hold a decent amount of clothes and some toys/books! Few things tend to be as uncomfortable as having to sleep upright on a plane or a bus. Children are more flexible than adults, but giving them a kids travel pillow can make a huge difference! Neck pillows make a trip a lot more enjoyable and they can be a cute travel accessory too. They function perfectly as a kids car pillow as well! So, after a trip to their grandparents or a tiring day, you don’t need to worry if their neck will ache when they fall asleep. If you are in a hurry, you can take a look at this comparison chart to determine which is the best children’s travel pillow for your family. Otherwise, scroll down some more and you’ll get general information and a more detailed description of every travel cushion in this list. TIP: if you are wondering what other things to pack for a flight with your child, take a look here! Don’t forget that children have smaller heads and necks. Make sure that you choose a pillow that fits your little one correctly to prevent the head from falling forward and thus your child being uncomfortable. This is especially important when you use the pillow as a car seat pillow for toddlers or bigger kids. While some kids love a snuggly animal pillow with hair, other might get irritated by it. The same works for harder plastic cushions that your baby might not find comfortable. More of the same with a fleece cover that will feel wonderful when traveling on a plane or in colder circumstances, however, it will feel sticky and scratchy when it’s hot. Choose your pillow with the type of journey and the weather conditions in mind. Also, when it comes to children, you’ll want a travel headrest that is machine washable! However, there are other options. Your child might prefer a rectangular pillow, there is this travel neck cushion that you can fold into any shape to suit your needs best or you may as well let your kid sleep with an inflatable footrest in the plane. microbead: a microbead travel pillow is filled with small polystyrene beads, which makes it lightweight. You can change the shape of the cushion easily but it is usually not that portable and doesn’t provide a lot of comfort. inflatable: an inflatable travel pillow is meant to be blown up by mouth into the firmness of your liking. They are lightweight and very tiny to pack into your luggage. On the downside, one small leak and your pillow will deflate. memory foam: a memory foam travel pillow shapes itself into your neck. It offers the most support but is, in general, the least lightweight. They can be decompressed for transport, which is convenient when you have limited storage space. We’ve all seen it, right? When your kiddo falls asleep in the car, their head falls to the side or to the front and it looks so very uncomfortable. When they are still in a 5-point harness, we’re only talking about their neck, but when they get bigger and move onto a booster, things become even more straining and dangerous (when in an accident)! However, if you’re looking for a toddler car seat head support pillow, we recommend you read this article. It is dangerous to put anything between a child and their car seat. Therefore we will not advise on any car seat neck support for toddlers. Once a child is big enough to use a booster seat, a regular seat belt might hurt their neck. Therefore, a seat belt protector is a great acquisition! They usually come as a large stuffed animal as well, so that’s a win-win. How cute is this fluffy green dragon? It functions both as a giant teddy bear and as a car pillow for toddlers and bigger kids. The dinosaur covers the seatbelt, which prevents your child from becoming uncomfortable. The velcro closure makes it very easy to pop it into the right position. Travelwise it might not be the best companion as it is HUGE (9″x19.7″ (23x50cm)), but children love it and they get to choose from a whole variety of cute animals. Another super cute children’s neck pillow for the car to make car rides more fun and a lot more comfortable when your little one falls asleep. You can attach this animal travel pillow to any regular seatbelt, but NOT onto a car seat or infant car carrier. This means your child can only start using it when they transfer to a booster seat. The SeatPets seatbelt strap covers come with a lot of storage space and extra pockets for toys and other personal belongings. Furthermore, it is available in five super fun designs! Click here to buy Travel Gear for Kids’ favorite seatbelt cover! When your child isn’t into cuddly teddy bears (anymore), these sober seatbelt pillows with clips will provide the same comfort. The pillows are made of a soft plush on the outside, while the inside is filled with non=deforming PP cotton. The cover is also washable. Each package includes 2 pillows that measure 11.8″x4.7″ (30×12 cm) each. They suit every seatbelt and clip onto them to prevent the cushion of sliding down. When it comes to a toddler travel pillow think really hard about what your little one might benefit from. It’s no use tagging something along that you won’t use. Our daughter, for example, wouldn’t dream of keeping a neck pillow on. She’d rather use her mommies as her personal pillow. A lot of toddlers might prefer a small square pillow over a U-shaped one. Opt for the same type of neck support as at home: a soft travel pillow if they use a soft one in their bed, or a firmer one if they are used to that. If you aren’t too keen on a toddler napping on your lap, a travel leg rest is a great travel accessory! We believe that in most cases this will bring better use than a toddler travel pillow. The Trunki Yondi kids travel pillow is one of the only U-shaped neck pillows that is suitable for toddlers. It’s perfect for snoozes on the go. It connects under the chin with hidden magnets which makes for a very comfortable pillow. The filling of microbeads and the plush fabric add to the comfort level. A double fabric liner makes sure that even in case of rupture, the microbeads stay safely inside. The neck pillow comes with the Trunki Grip to which you can attach your child’s favorite blanket. Oh, and with 0.18 lbs (80gr) it’s super lightweight! The Trunki Yondi pillow is suitable for children from 18 months and up (small: 18m-4y / medium: 3-5y) and comes in 6 funky colors and designs. A little sleepy head pillow is a perfect travel companion when your toddler doesn’t like to put on a U-shaped neck pillow. It has the perfect size and softness for a toddler and can be used at your destination as well as on your way there. MIND: you have to buy the pillowcase separately, but they come in a couple of nice designs! The Wandering Tot foot rest pillow was created by a traveling family and therefore alone deserves a place in this list. Sleeping upright in a plane will be very hard for toddlers and you’ll most likely end up with a sticky body onto yours. To ensure that you can get some sleep as well, this travel hack lets your kids sleep with their legs up. Such an inflatable leg rest for flights is completely safe and you tuck it into the usually rather cramped space between the chairs. Your child now has a bed! But you can use it in your car as well. Furthermore, it’s a great toy or table at your destination as well! It is very lightweight (under 1 lbs/450g when inflated) and it comes with a small storage bag to carry it around when you’re not using it. The portable footrest can be adjusted into 3 heights and you can inflate it in 1 to 2 minutes with your mouth. Thanks to the 2 larges valves it inflates quick and easy, so you won’t look like a tomato after doing so. Deflation happens in about 30 seconds. The Wandering Tot travel foot pillow is available in one color and comes with an additional eye mask and earbuds for the parents. The Bcozzy pillow is a kids travel neck pillow that you can wrap around your neck. You can twist it into several positions and control how tight you want it around your neck. It prevents the head from falling forward and offers support for your head, neck and chin simultaneously. The travel pillow only weighs 7.4 ounces (200gr) and comes with a snap strap for easy storage to your luggage. Furthermore, it is fully machine washable and can be compressed. The Bcozzy is available in a lot of funky colors and comes in both adult and child sizes. The Nido Nest kids travel pillows are probably the cutest thing ever. Because the pillow is made of microbeads it offers gentle support. The washable cover makes sure the neck pillow can be kept clean because we all know that kids can get messy. The children’s travel pillow comes with a snap, which can be used to tie this little friend to a backpack or suitcase. With a weight of 4.2 ounces (120gr), there really is no reason not to bring it on your trip. The Nido Nest neck pillow is suitable for children from age 3 to 10 and is available in 4 super cute designs: the bumblebee, the frog, the ladybug, the owl and the pig. Buy this cute pillow here! The Trunki Yondi kids travel pillow is perfect for snoozes on the go. It connects under the chin with hidden magnets which makes for a very comfortable pillow. The filling of microbeads and the plush fabric add to the comfort level. A double fabric liner makes sure that even in case of rupture, the microbeads stay safely inside. The neck pillow comes with the Trunki Grip to which you can attach your child’s favorite blanket. Oh, and with 0.18 lbs (80gr) it’s super lightweight! The Trunki Yondi pillow is suitable for children from 18 months and up (small: 18m-4y / medium: 3-5y). The medium version is available in 2 cute designs. The Wandering Tot foot rest pillow was created by a traveling family end therefore alone deserves a place in this list. Sleeping upright in a plane will be very hard for smaller children and you might end up with a sticky body onto yours. To ensure that you can get some sleep as well, this travel hack lets your kids sleep with their legs up. The Wandering Tot travel foot pillow is available in one color and comes with an additional eye mask and ear buds for the parents. Whether your tween or teen will be traveling by themselves or accompanying you on your family holiday, the getting there and away is usually not all too comfortable. By car, plane or public transport, chances are that they will be sitting upright for a rather long time. Most children’s travel pillows focus on the age group of 3 to 10, which means tweens and teenagers can pick a regular size travel cushion. The Langria travel pillow is Travel Gear for Kids’ top pick! This 1.27 lbs (566gr) compact memory foam travel pillow offers a wide variety of sleeping positions. It not only supports your head when sleeping upright, but it doubles as a normal cushion and lower back support as well. The nylon strap allows you to adjust the pillow to suit your neck and needs. The bonuses make this pillow extra great for teenagers: a detachable hood to block out the light and an elastic side pocket for your smartphone. The cover is machine washable. The Langria 6-in-1 travel pillow for teenagers is only available in blue. The Dot&Dot is a small travel pillow that – unlike most neck pillows that are U-shaped – is twistable into almost any shape. The memory foam provides personalized support in any position you’d like to rest or sleep in. This neck rest for travel is machine washable and comes with a snap closure so you can secure it to your suitcase. This way you can also close it around your neck or around the car headrest. The Bcozzy pillow is a travel pillow that you can wrap around your neck. You can twist it into several positions and control how tight you want it around your neck. It prevents the head from falling forward and offers support for your head, neck and chin simultaneously. The travel pillow only weighs 7.4 ounces (200gr) and comes with a snap strap for easy storage to your luggage. Furthermore, it is fully machine washable and can be compressed. The Bcozzy is available in a lot of funky colors and come in both adult and child sizes. The Kikkerland Zip and Flip travel pillow for children has a microbead filling and spandex cover. Unlike any of the above neck pillows, it is actually a stuffed animal that transforms into a U-shaped pillow. 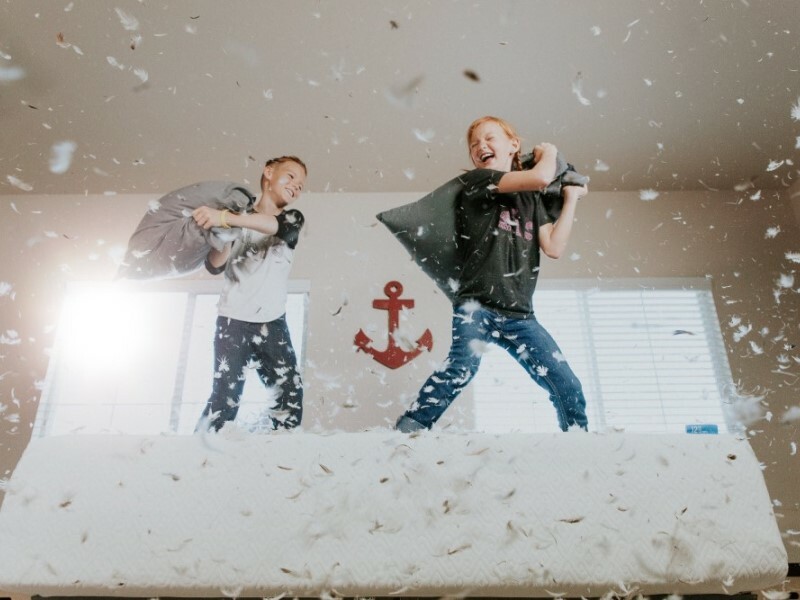 Unfortunately it is not machine washable, which makes it not the best choice for children, however, a tween or teenager will likely keep it a little cleaner. This is the perfect pillow for a tween or teen (or adult!) that loves an adorable animal shaped cushion to tag along. The weight depends on the type of animal but ranges between 5.6 and 7.8 ounces (160-220gr). Pick your favorite animal here! The Cabeau travel pillow is made of memory foam which offers a 360 – degree support. Because of its comfort, the pillow makes for a great travel companion. The soft velour cover is removable and washable and thus easy to keep clean. Traveling is convenient with only 11.7 ounces (330gr) and the possibility to store it in the small storage bag at only 1/4th of the size. The Cabeau Evolution memory foam neck pillow is available in a bunch of different colors. This travel pillow for teenagers is an inflatable pillow with a push button inflation. This way it can be easily and quickly inflated and deflated and it prevents bacteria from spreading because you don’t have to mouth blow it. A lot of travel pillows tend to get hot, but the Kmall has a cooling and ultra soft cover which can be cleaned in a washing machine. It comes with a built-in pocket for your eye-mask or smartphone or other valuables that doubles as the (tiny, square – shaped) carry case when you’re not using your pillow. As it only weighs 7.2 ounces (200gr), there really is no reason not to bring it on your trip. The Kmall travel pillow is available in yellow, red, blue, green and grey. Ah, the holidays! When you’re thinking about your precious little get-away, all you see is tropical waters and palm trees. Since you’re a parent now, the time of reading in sunchairs and drinking cocktails is over. You may, however, spend quite a bit of the day in the water. Something we consider indispensable here at Travel Gear for Kids is a waterproof baby carrier. Especially when you have older kids, you’ll want your hands free to play in the water with them. TIP: If you are looking for some travel inspiration, check out this post on the best Mexican beaches. Makes you want to jump on that plane, doesn’t it? If you are in a hurry: we recommend the Beachfront Ring Sling as the best waterproof baby carrier for pool or beach fun! Below we’ve listed the best water baby carriers in a comparison chart for an easy and quick view. When you read on, you’ll find an information guide which will help you decide which infant water carrier would fit your family. Furthermore, we’ve reviewed the 3 outstanding carriers for babywearing in water for each baby carrier type. Do I need a water baby carrier? What do I look for in a water baby carrier? Which type of carrier do I choose? Sure, you can choose to bring your normal baby carrier, but it won’t dry quickly and walking around with a wet carrier all day, isn’t our idea of fun. Furthermore, holding your baby while in the water is not an easy task. There are, however, baby carriers specifically designed for water use and/or hot weather. 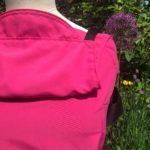 TIP: if you are looking for a baby carrier suitable for hot weather rather than a waterproof one, check out this post. When you’re traveling with a small child, using a waterproof baby carrier for showering is a great idea too. That way you don’t have to drag a portable baby bath and you don’t have to be afraid of slippery accidents. A baby carrier that is suitable for the water reduces the risks when it comes to swimming or bathing your baby while traveling (or at home!). It is an indispensable item in your suitcase! The most important component of a water-friendly baby carrier is its fabric. It should be made from a mesh fabric or polyester, as these dry quickly. For that reason waterproof buckle carriers don’t have padding, making them less comfortable for general use. Especially the buckle carriers combine their waterproof-ness with a lightweight. Furthermore, ring slings are made of a rather short piece of fabric and tend to be lightweight of themselves. So, there really is no reason not to put an additional water baby carrier in your luggage. The next criterium is UV protection. If you’re going to use the carrier on the beach, you’ll spend a lot of time in the sun, which can be damaging to your baby’s skin. Make sure to pick a waterproof infant carrier that offers sufficient protection from UV rays. And last but definitely not least is the comfort. A baby carrier (regular or a waterproof carrier) should always be ergonomic, both for the one carrying as for the child. Popular water baby carriers as the Jujuroo water baby carrier or the water tot baby carrier are not ergonomic! You can easily see that in the way the legs of the baby are hanging, rather than in the frog (or M) position. Another give away is the back, which should always be soft and following baby’s spine and not pre-formed. Read more about ergonomics here. If you have a preference for a wrap, ring sling or a buckle carrier, you should be able to find something you like, as all three types come in a waterproof version. Feeling a bit flabberghasted? Take a look at our extensive guide to the best baby carrier for travel. In here we explain a lot more about the different ways of babywearing and which one will suit your family best. 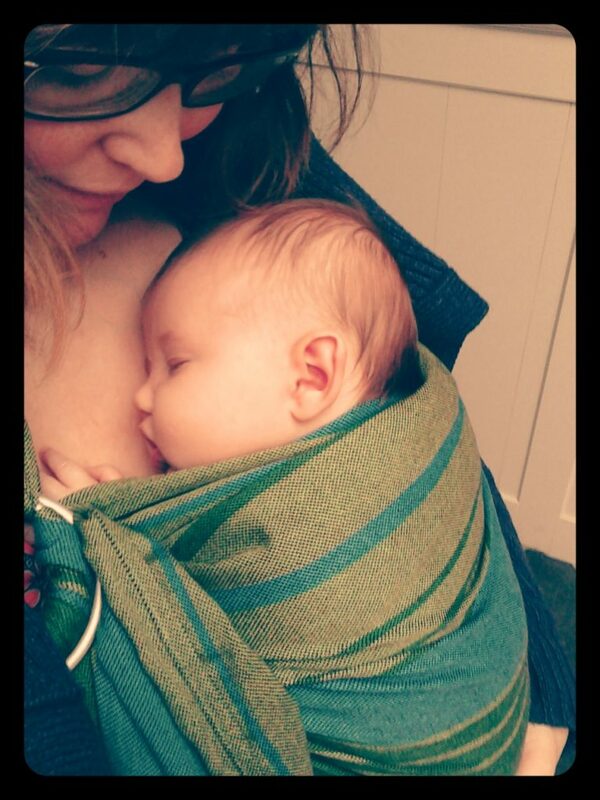 For water use, we would personally opt for a water ring sling as it is so easy to put on and off. However, you’ll probably try to keep one hand on your baby’s back (as experience has learned us you often do with ring slings). So, if you really need to use both of your hands, it might be smarter to opt for a wrap or a buckle carrier. The Beachfront Baby Wrap was designed by work at home moms and features a mesh fabric that’s capable of keeping you and your baby cool in the heat. 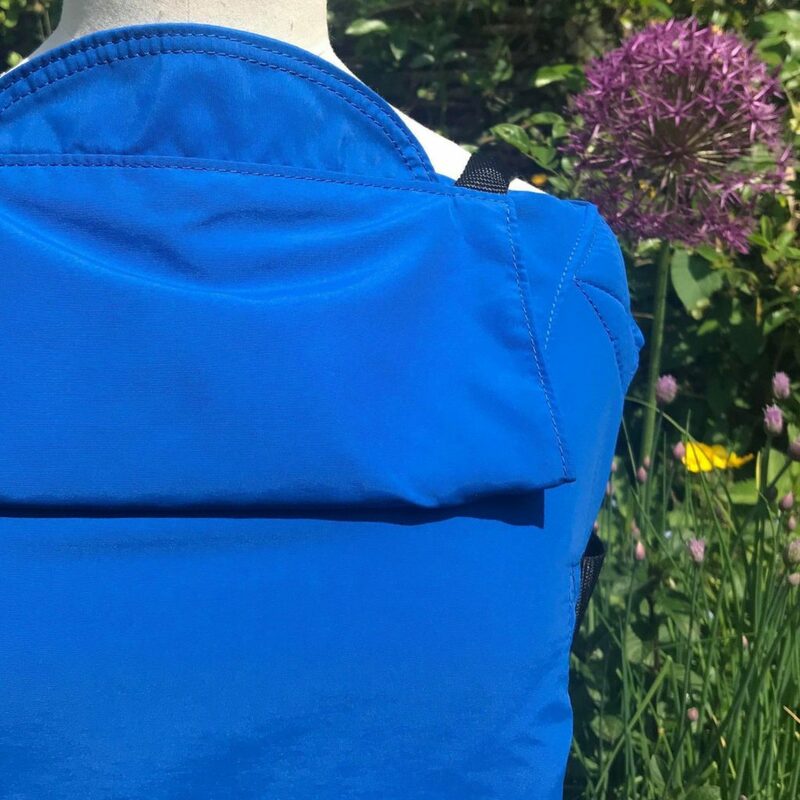 Thanks to the mesh fabric it is a lightweight baby wrap for summer, which makes it a great travel companion as it can be used both in and out of the water. It is a stretchy water wrap carrier that can hold children from 8-30 lbs (3.5-13.5 kg), however since it’s stretch you might not be comfortable wearing bigger kids. The Beachfront Baby Wrap Water is available in 3 sizes: a standard, a petite and an XL (depending on your t-shirt size) and a whole bunch of different colors. The Breezy wrap is a cotton-mesh waterproof baby wrap that was designed to be used in the heat. It is lightweight (only 13.3 oz/380g) and comes with a carry bag, so you can toss it into your diaper bag and set off. Although it states that it has minimal stretch, it is wrapped the same way as a stretch wrap (where you put your baby in after wrapping in contrast to the way you wrap a woven wrap). 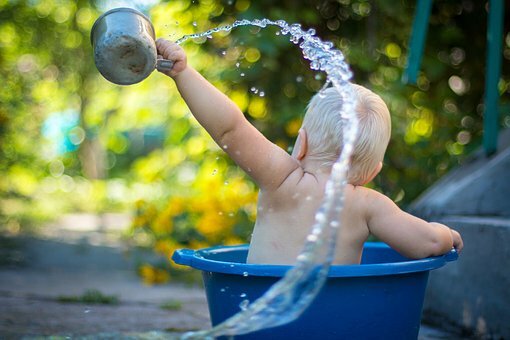 For shorter periods of time (like water play), you’ll be fine wearing a child up until 35 lbs (16kg), though we wouldn’t recommend that for a couple of hours. Thanks to the mesh fabric, it doesn’t get heavy when wet and it dries very quickly. This makes it the perfect wrap for a day at the pool or beach! Furthermore, it is machine washable, so you can get rid of the salt from the ocean easily. And in case you weren’t already convinced: 10% of the earnings go to charity for orphanages! 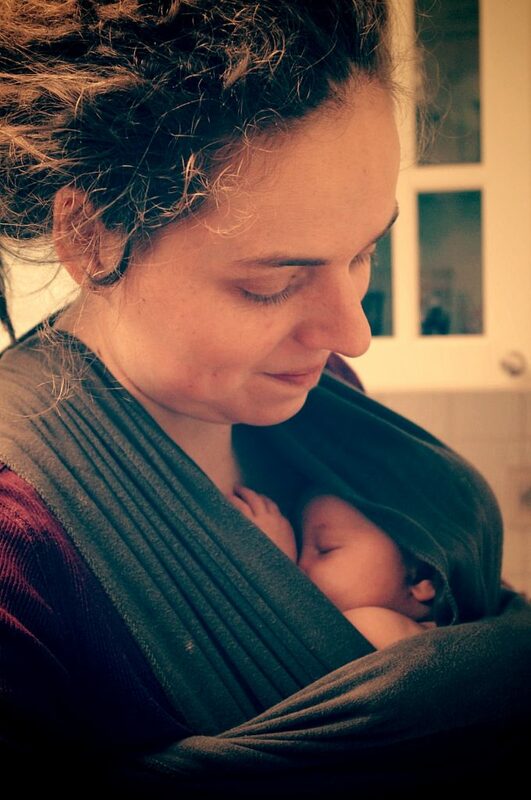 The Breezy water baby wrap is (at the moment) available in black, grey and red. Showertime is so much fun! This wrap was specifically designed for water and sports use and has been re-engineered recently. The Wrapsody WrapDuO is available in the original blue version or as the new black pearl. Like the Beachfront Baby Wrap, the Beachfront Ringsling is specifically designed for hot weather and water use. The mesh fabric is lightweight and the aluminum rings guarantee safe carrying. And what is absolutely great about this, is the fact that it is made with 100% recycled polyester! Should you bring an everyday carrier for your trip as well, this baby water sling is your best choice in waterproof carriers! We consider this the best water baby carriers! Even as a regular lightweight baby carrier for summer, it’s a great choice. 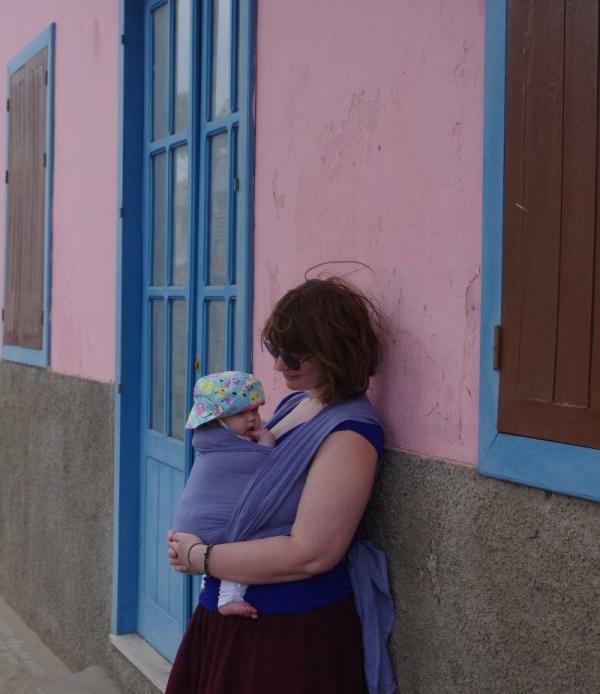 Buy this mesh baby sling for water now and start planning your trip! The Biubee Water Sling baby carrier is made from a mesh fabric and is designed to be used in and outside the water. The rings of the waterproof baby sling are made from plastic, which suits the water use. It fits children from newborn to 35 pounds (16 kg) and is only available in a lovely rich blue. 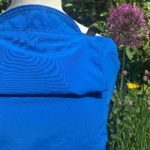 This 100% polyester mesh baby carrier for water might be one of the cheapest on the market, but it still makes true on its promises. It is very similar to the Biubee, except that it has metal rings instead of plastic ones. The former sounds sturdier, but we are unsure whether metal combined with water is such a great idea? It is available in 14 bright colors, so you will definitely find one to your liking. Pick your favorite color here! If you are looking for the ultimate lightweight waterproof baby carrier, look no further. The Boba Air weighs only 0.7 lbs (300g) and you can store it in its own zipper pocket! It can be used to carry on the front and on the back. The 2017 new edition has mesh shoulder straps and padded leg openings for your little one. As it is made of 100% nylon, it can be used both inside and outside the water. The Boba Air can be used from 15-45 lbs (7-20 kg) and is available in black and grey. The Bitybean water carrier is very similar to the Boba Air. It only weighs 8 oz (230g), so it’s easily tucked away in your beach bag. Like the Boba you can wear your child both on the front and the back. The Bitybean water carrier is however somewhat less comfortable at the shoulder straps and waist belt. Made from 100% nylon, you can perfectly use it in the water. This waterproof baby carrier for swimming can be used from 3 months/8 lbs (3.6kg) to 45 lbs (20kg) and is available in black, grey, red and a very bright yellow. Choose your favorite color here!